It's time for an update on the Books for Bhutan project! I'm so glad to say that with persistence and an enormous amount of help, support and the grace of things 'just falling in to place' the books are nearly ready for printing. 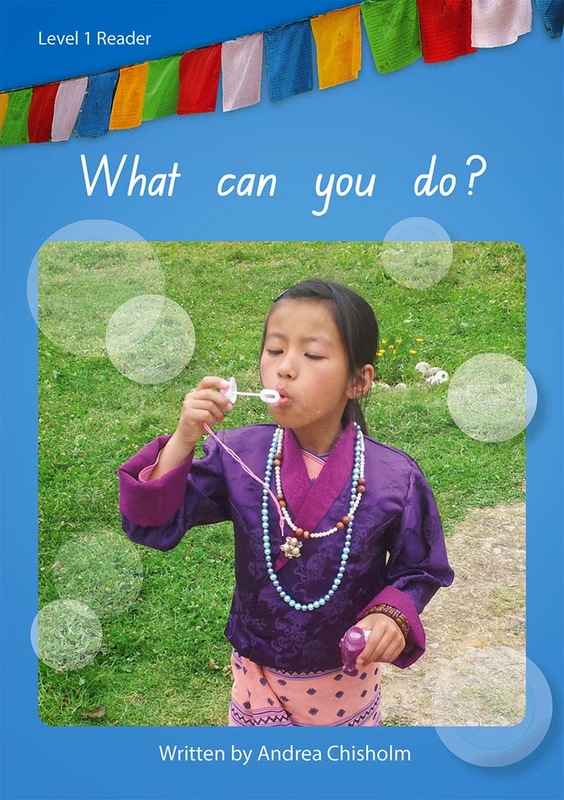 Together we've raised enough to have 400 copies of each of the eleven books printed to be distributed to primary schools and libraries across Bhutan. The timing is perfect as Bhutan celebrates 2015 Year of Reading to honour His Majesty the 4th King's 60th Birth Anniversary. This would never have happened if it weren't for the support of a large number of people, to whom I am so grateful. Support has come in many forms. Huge thanks go to the many people who put their hand in their pocket and gave generously towards the cost of printing - in total approx. $5700 has been raised. There are many very worthy charities that we can support with our hard earned money, and it means a lot to me that you saw value in what I was hoping to achieve and joined with me to make it happen. I want to acknowledge the support of the Australian Himalaya Foundation who has stepped in to provide the balance of funds needed after $3700 was raised through private donations.The Australian Himalaya Foundation works to help the people of the Himalaya through improvements in education, health and conservation. I'm hoping that I can work with them in the future to see this or other projects continue to improve children's access to quality education in Bhutan. 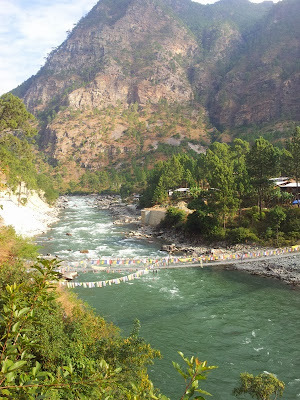 In the beginning I reached out to Bhutan Canada Foundation alumni to provide photos to help illustrate the books. It was wonderful how all the images came together and I hope you all get to see copies of the books, especially those that showcase your own Bhutanese students and communities. Thank you Vicky and Ian, Sharon, Angela, Justine and Paul. I'd like to acknowledge the hard work of Andrea Goldring from Studio 77 Design who took the vague ideas I had and transformed them into colourful, engaging and professional books that will delight little Bhutanese readers. Without the help of Pat Darlington in Bhutan I would still be sitting here with my lovely little books but no closer to understanding the intricate process of having them printed in Bhutan. Pat (who I met only briefly at a look out point in Bhutan) worked closely with colleagues and friends in Bhutan to visit various printers and approach government departments to ensure all approvals have been sought and all practical details have been thought through. Pat, your knowledge and ideas and support have been essential to the success of this project, thank you! 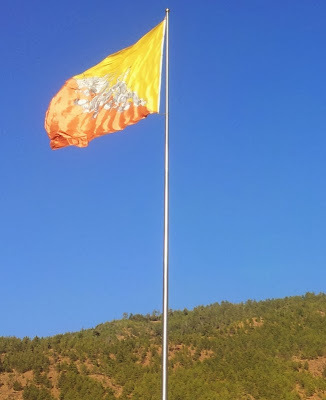 After careful consideration we selected Bhutan Printing Solutions in Thimphu to print the books and we are grateful that they saw the value in our project and offered us a quote that reflected the charitable nature of what we are hoping to achieve. I have confidence that they will provide a professional service to print the books. 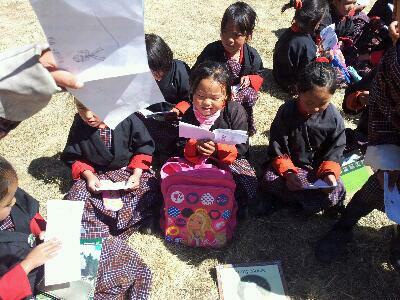 And then, back to where this all began for me... the Bhutan Canada Foundation has offered to manage the distribution of books to schools in rural areas of Bhutan. I would love to be able to personally visit schools and deliver books to students and teachers - I would love to spend some time to show how books like these can be an important stepping stone to acquiring English and skills in reading. The next best thing is leaving this important task in the capable hands of the staff and volunteers of BCF. In July a team of qualified reading teachers from Canada will arrive for intensive reading work in selected Bhutanese schools and I feel confident these teachers can share their expertise in using levelled readers with local teachers. When I set out to write these little books I hoped I could collaborate with others to make this a team effort- to create something bigger and better than I could achieve alone. At the time I didn't know who those collaborators would be and it has been a great learning experience for me to let go of the small details and open myself up to the 'positive flow' of the universe. If I have chatted with you about this project and you've listened with enthusiasm and interest then I'm so glad of the 'pat on the back' you've given me and the inspiration to keep going even when I didn't know what to do next. These little books will not change the world, but perhaps they will make the process of learning for some Bhutanese PP (Prep) students a little easier and a little more fun. I'm eager for feedback from all who encounter them and hopeful that with the support of the Australian Himalaya Foundation that this may just be the start of bigger things. I'll let you know when they roll off the press! 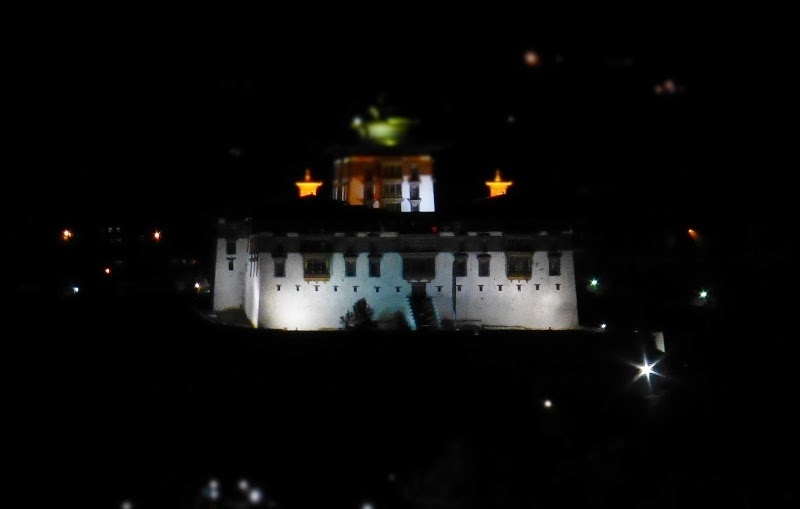 Bhutan has declared 2015 the National Year of Reading to commemorate His Majesty the 4th King of Bhutan's 60th birthday. 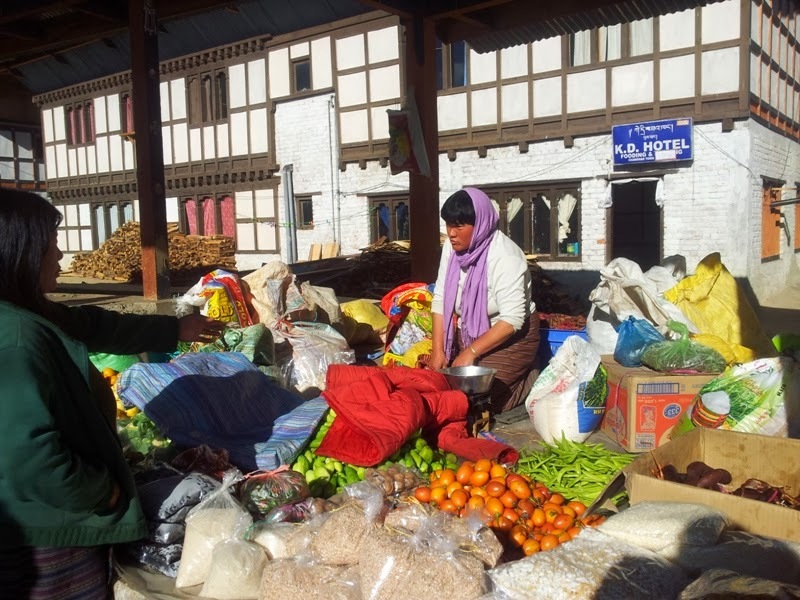 Bhutan is a country that is rich in the oral tradition of story telling and it is only in recent decades that a culture of reading books has developed among lay people. 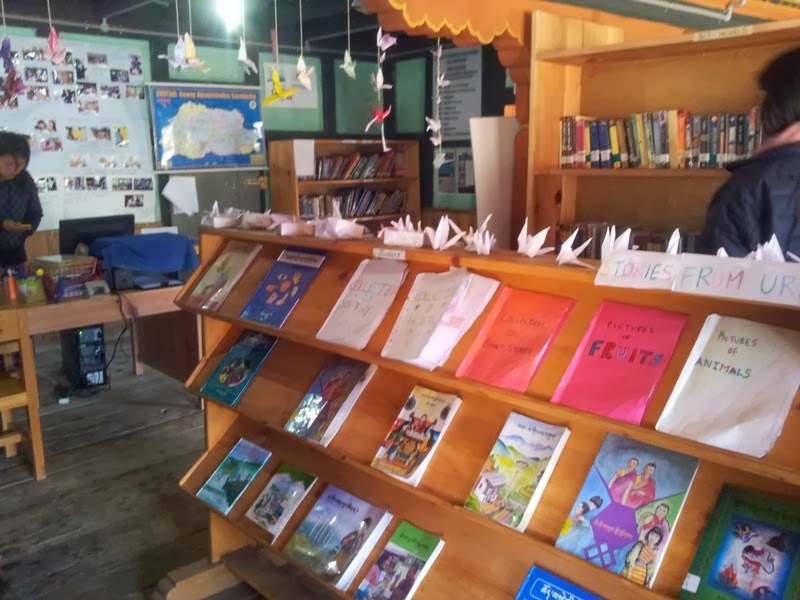 For many in rural areas it is still difficult to access to books although this is improving as READ Bhutan sets up more village libraries such as the one we visited in Ura. Children who learn to read both Dzongkha and English at school can also borrow books from school libraries. When I noticed that 'learn to read' books were not available for my students (who at the beginning of grade 2 were still essentially non-readers), I felt an imperative to provide them books to help them learn to read. 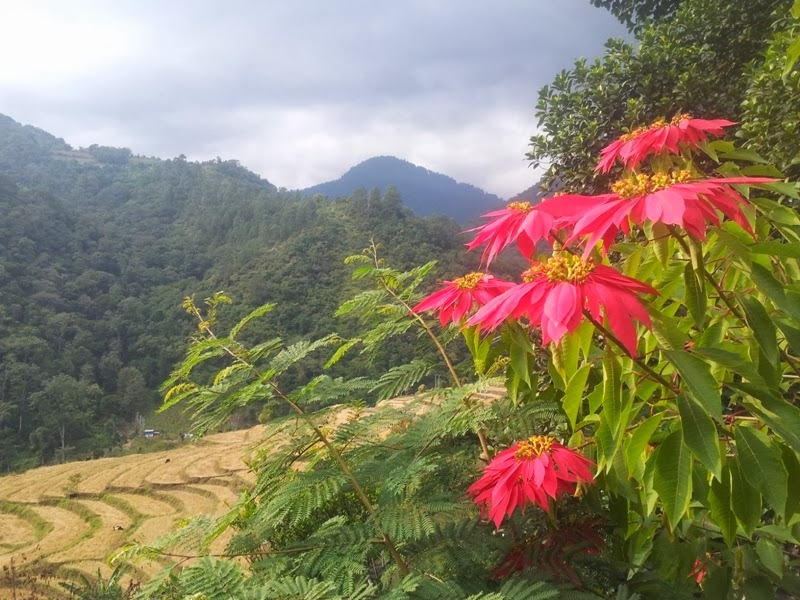 In rural Bhutan many students are from backgrounds where two or more local languages are spoken in the home and so English is being learned often as a third or fourth language. Development of vocabulary is a crucial step in learning to read, however since many students come from homes where parents can't read English, it really is up to their determination and the dedication of their teachers to overcome the obstacles to becoming fluent in English, the medium of education. My students made simple learn-to-read books which they loved! The set of books that I wrote and have developed along with the help of many friends is ready to print and distribute to schools and libraries in Bhutan. I have launched a crowd-funding site to raise funds with an initial target of $5000 so that the books can be distributed to approximately 150 schools and libraries. 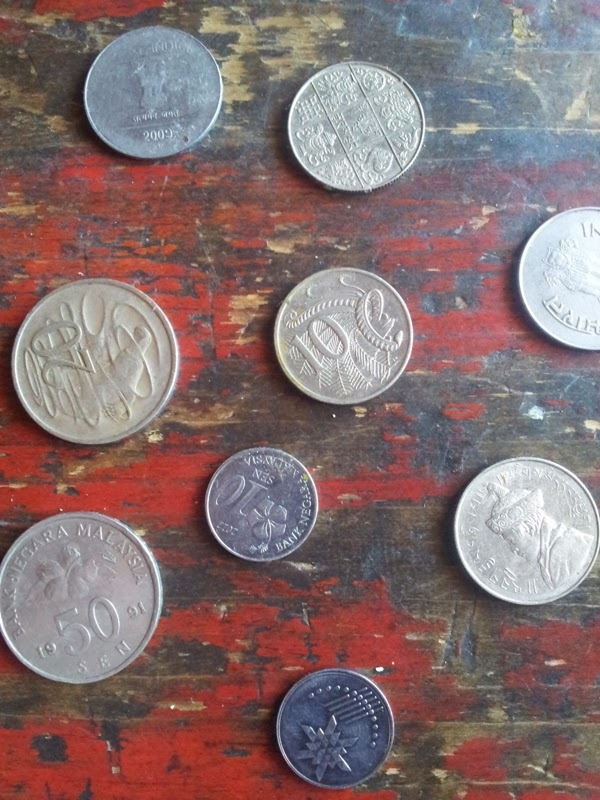 Since launching only a couple of weeks ago I've been heartened by donations from generous friends totalling $750. Added to the $1000 I am personally donating, we are well on our way to achieving our target. With your support, we can make a difference and help rural students develop vocabulary and build confidence as readers. Bhutan Canada Foundation is commencing a new volunteer program in April this year, bringing experienced Canadian teachers to work intensively with students for one month on reading. I want those teachers to have access to these books as I believe they will really help them work with their youngest students. Help me get these first books in the hands of children and we'll see where this can go! 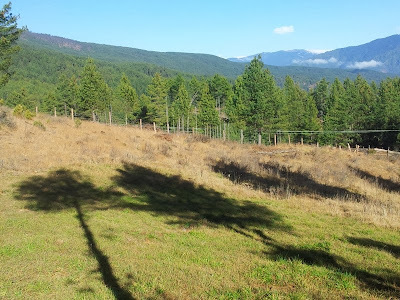 We've been home from Bhutan since January, and although I feel fully immersed in a rich and happy life here in Australia, I still think of Bhutan everyday. I've become a Bhutanophile whose heart was captured by that magical place like no other at the top of the mountains. Daily I read updates from Bhutan Street Fashion on Facebook and keep up to date with goings on in Chumey and beyond through friends across the country. Recent tragic news from my village pulled at my heart strings and I wished I could be there to understand and offer support to my students and the community. Friendships are developing with other Australians involved in various projects in Bhutan - the networks created are friendly and supportive. I wanted to share a project I've been working on for a few months and which is starting to take some shape. 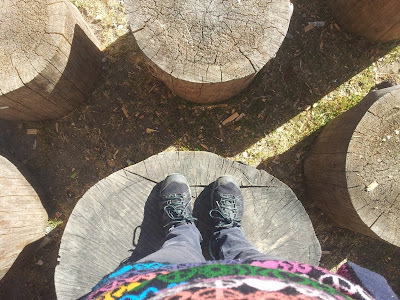 If you read my blog last year you would have known I developed a real passion for teaching reading to my students - within my classroom as well as in my role as primary school librarian. Reading seemed to me to be the most important skill my students needed to acquire. Most started school with no knowledge of English and yet this foreign language is the medium for their primary and high school education. Becoming a fluent user of English is imperative to success at school and the only pathway to further education and opportunities in Bhutan and beyond. I saw how critical fluency in English was for my students, but I felt the odds were stacked against them with limited resources for learning English, the teachers' reluctance to speak English with students and a mainly antiquated rote method of teaching language and reading. It's a huge dilemma and there's no quick fix. However, one resource I brought with me seemed to have a great effect. I bought a bundle of levelled readers in Thimphu and used these to listen to my students read one on one every morning before school. Most started with level 1 and struggled with even the most simple sentences as they had so little vocabulary in English. 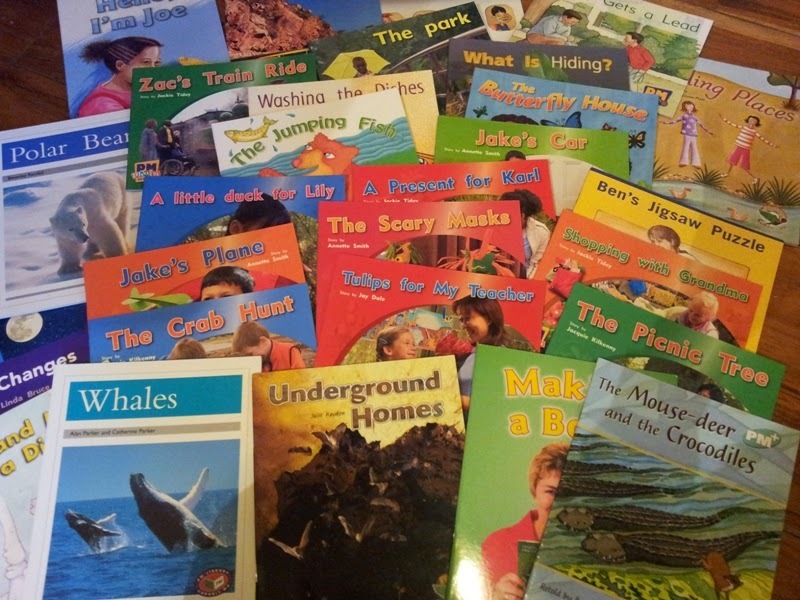 The books were made for Australian kids so they were about trips to the park, rock pools or museum, Australian style birthday parties, school fetes and making cheese tomato and lettuce sandwiches! Characters called Jake, Anja, Emily and Jessica featured and try as they might, my students stumbled again and again over these unfamiliar names. Despite these hurdles, day by day my little group of enthusiastic readers powered on through the levels, supported by our intense vocabulary work in English lessons, to become fluent and confident readers by the end of the year. I had 8 out of my 25 students achieve level 24 by the end of the year which puts them on par with Australian children of the same age. Most were not far behind with levels from 14 - 20. The lowest had still achieved around level 8, and it's not unheard of to find a level 8 reader at the end of grade two in Australia. The fact that these children were learning English as a third or fourth language filled me with enormous respect for the huge achievement they'd made. So, my mind began whirring with the idea of producing a set of very similar levelled readers that were Bhutan-ised. They would need simple modifications to content to draw on Bhutanese children's prior knowledge and life experience. I thought clear and colourful photographic images of familiar scenes would engage students and help them identify vocabulary. And Jake and Anja would need to make way for Dorji and Deki! Anyway, I'm really happy to let you know that these ideas are coming to fruition. I wrote 20 very simple books and since then have been collecting photos from my friends and colleagues in Bhutan for the illustrations of the book. And thanks to my obsession with photo-a-day last year I had thousands of photos of my own that perfectly fit the simple topics of the books. Setting out was like starting a scary and new adventure, but once I began I've noticed how things seem to fall into place. I recently went to a friend's birthday party and sat next to a woman named Andrea. We chatted about this and that, and perhaps inevitably the conversation veered in the direction of Bhutan. Andrea was a great listener and I started to tell her about this project and where I was at. She looked at me and said 'You need a graphic designer' and without hesitation offered her skills voluntarily to help move my little books forward. I am so grateful to Andrea (of Studio 77 Graphic Design) for her generosity and her support of the project. Yesterday she emailed me the first rough draft of a front cover for the books and I am excited to share it with you. She has done a lovely job of incorporating the very Bhutanese image of prayer flags. I'm happy to see one of my brightest and most delightful students from Chumey, Sonam Choki Dorji grace the cover. Andrea is working on developing a few of these books to have ready to present at an upcoming Bhutan related event and I'm hoping to meet the contacts I need to move this project forward to the next step which will involve having them printed and distributed to as many Bhutanese primary schools as possible. Next year will be National Reading Year in Bhutan to celebrate His Majesty the 4th King's 60th Birthday. It would be wonderful to have the books ready to launch by then. I don't know exactly how this will happen but I'm open to what will come. A dear old friend of mine, a Buddhist monk who went by the name of 'Venerable Stardust' used to say 'Learn to live with little question marks'. Let's see what happens next. The question I've been asked most lately is 'Have you settled in yet?' In nearly equal parts I feel so happy to be home to a most wonderful comfortable life in Australia surrounded by our big family and good friends, while also thinking longingly of all the good things about life in Bhutan, the camaraderie we felt there and the daily adventure and excitement of living somewhere so unique. A welcome home party with our friends, Aussie-style. We arrived home with a plan to find a house to rent immediately, but after a couple of intense days looking at rental properties we found that the very best properties were coveted by many other people and the competitiveness to secure a place meant it could be a long wait. Meanwhile as luck would have it, a good friend was headed overseas for a month and agreed to let us stay in his place which gave us some breathing space to make some big decisions. Staying in this house (which is incidentally where Bob and I lived many years ago before we were married) has allowed us a sense of stability and normality. We have all the essential 'things' of life so we can get on with eating, sleeping, watching tv and using the internet! It gave us the space and time to look into buying a new home in the area near my school, and fortuitously we saw one house, felt it ticked all our boxes and are now just waiting for the settlement day to roll around in about a month. 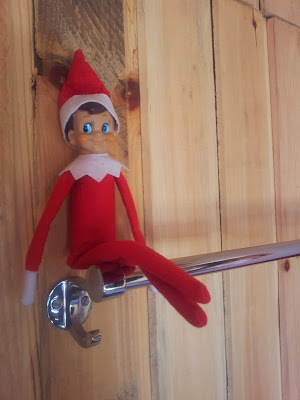 Meanwhile Bob and I have started work, Xavier is at school and Remy at kindy. Settled or not we all have responsibilities to get on with! Our next step will be to stay in a short-term rental apartment once our friend returns home - until settlement on the house. 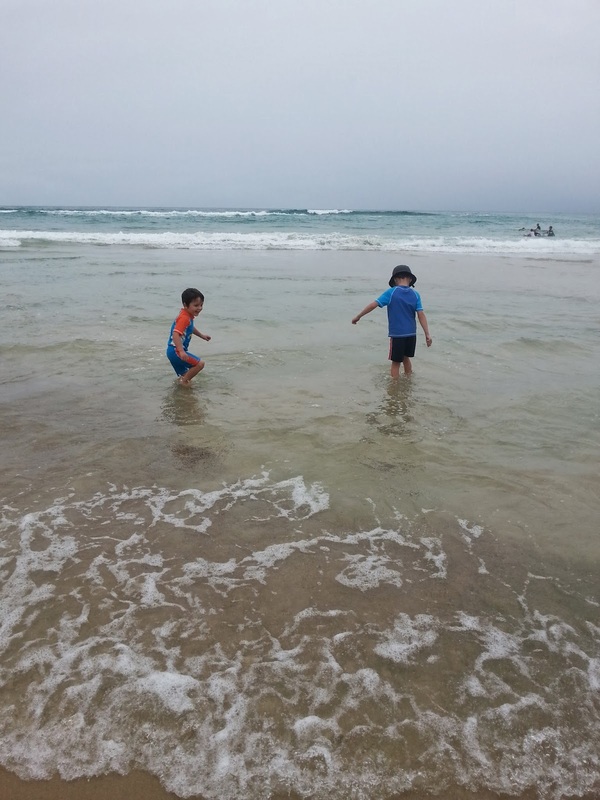 At first daunting, now the prospect is appealing as we can stay in a unit right on the beachfront and enjoy an afterschool swim. 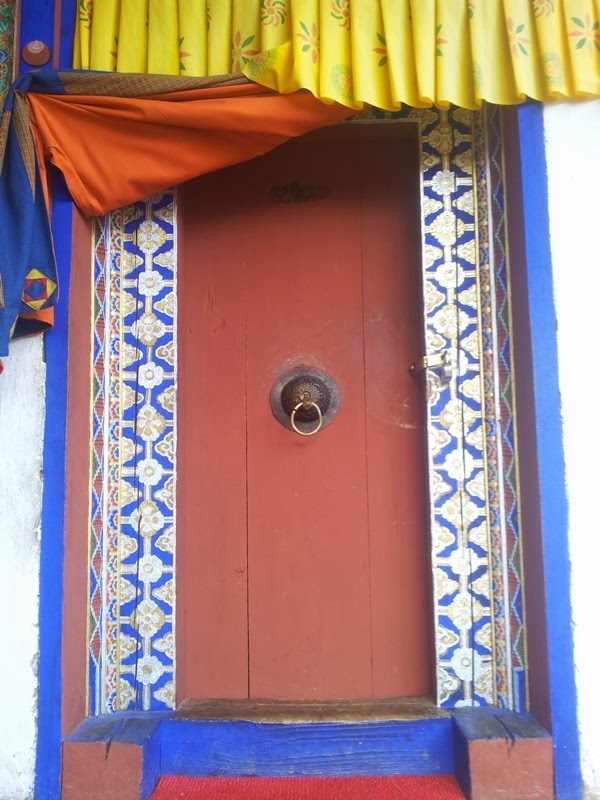 Until we move into our home we are still living out of our suitcases (mostly filled with Bhutanese national dress and textiles!) so we are unhindered by all our worldly possessions that are still in storage for another month. As time goes by I start to long for some of those 'things' - it will be a fascinating experience to unpack all the boxes and find long forgotten belongings - some of which I'm sure we can really live without. Every weekend we have been taking the opportunity to see and do favourite things and visit places that for Bob and I are familiar but for the boys are brand new. It's like they really don't remember many of the details, big and small, of Australian life (from Weetbix to vacuum cleaners: so many questions!) 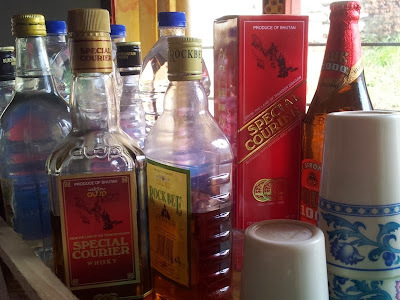 and similarly I guess in time our memories of Bhutan will fade. It's so clear to me that it is all impermanent: the frustrations, the inconvenience, the freshness and novelty. 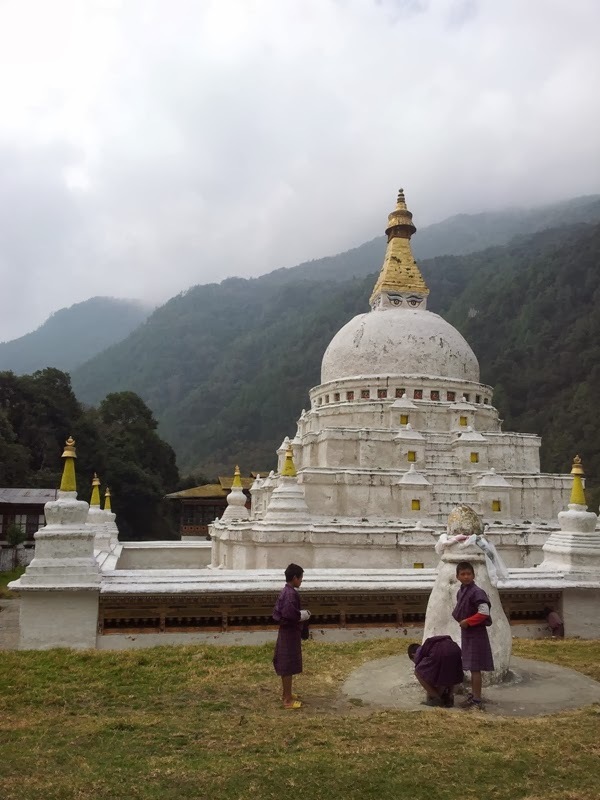 A lesson learned in Bhutan: enjoy the present as it's all we have. 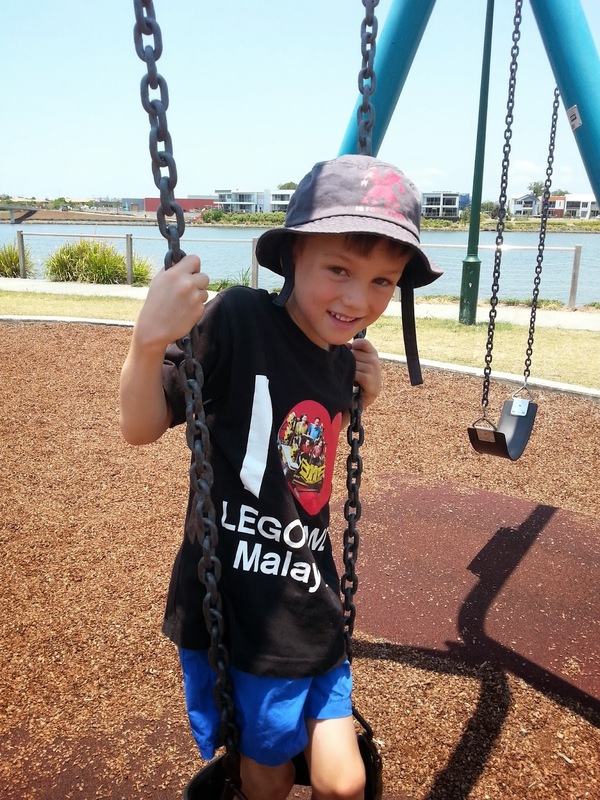 The boys are rediscovering (as if for the first time) all the different playgrounds on the Gold Coast. 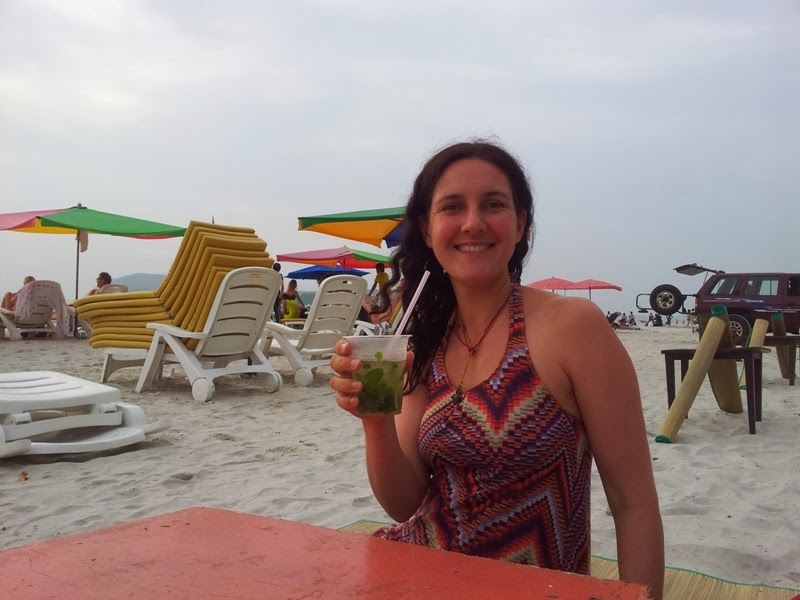 Enjoying fun in the sun - back to the beachside life-style. 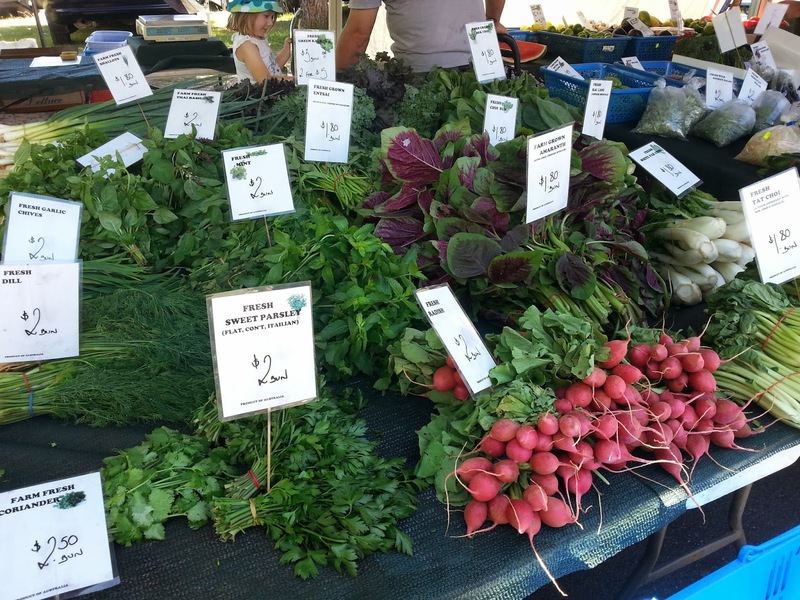 Such an incredible array of fresh produce available - we're really enjoying healthy summer salads. 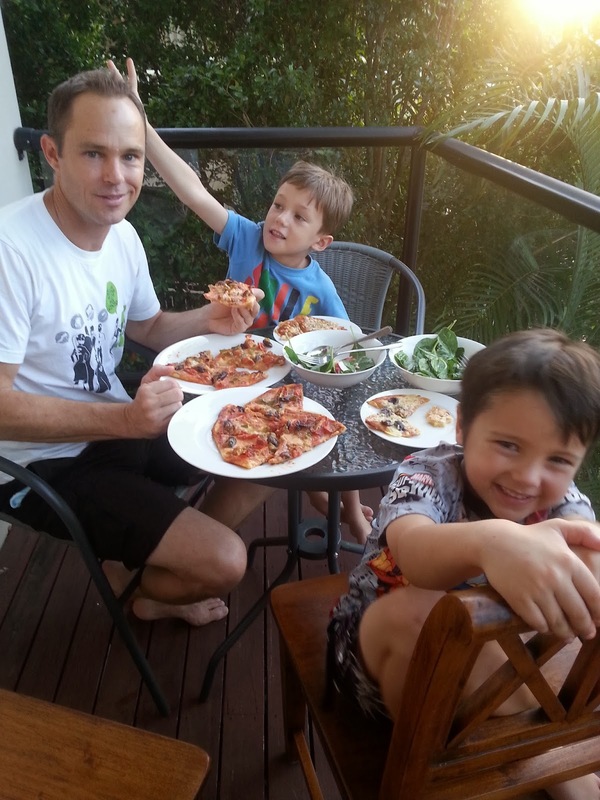 Healthy outdoor eating - enjoying the long Queensland summer. So, settled is not the word for how we feel! But maybe that's a good thing. 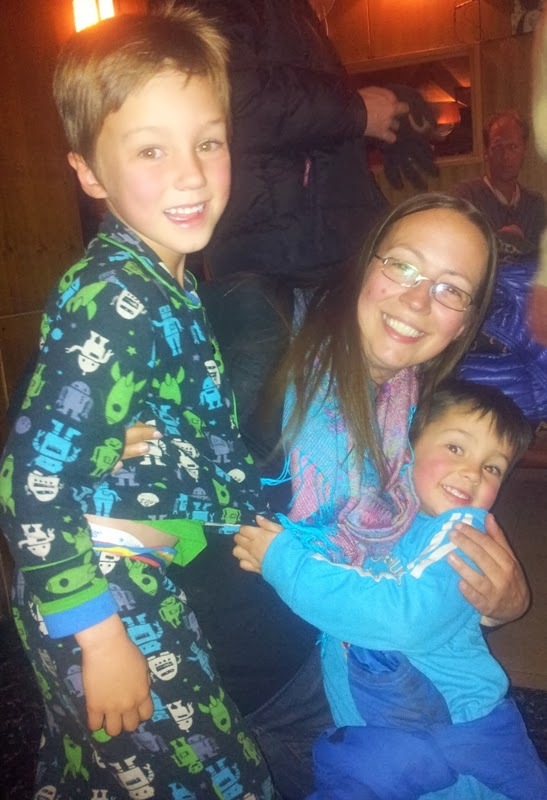 I was speaking to my sister-in-law recently who went to live overseas for 6 months with her family and came back to their own home, just as it was before they left. She said in a way they slipped so quickly back into normal life that it made their adventure and life away feel like a distant dream. I think prolonging the process of settling is giving us more time to contemplate where we've been and also where we're going to next. For me, the prospect of a return to Bhutan in the mid-term future is something I think of often and helps ease the 'homesickness' I feel for such a special place. I don't want Bhutan to be a place only from the past, I want Bhutan and the people I loved there to be part of my future life story. Bob's thoughts are focussed on the present: he has worked hard to do all the tasks related to buying us a home and is looking forward to move in there and enjoy the Australian lifestyle of outdoor entertaining and having room to spread out. Meanwhile Xavier (like his mother) has been bitten by the travel bug and I enjoy chatting with him and talking about all the future adventures around the world we want to have. Certainly for this year we feel satiated but it's fun to dream and work towards new goals together. Are we settled? No! Perhaps 'settled' is not a state that I aspire to! A sense of home for the present is going to be lovely, but ultimately I'm probably a restless soul looking onwards to new places and faces and adventures. Cheers! 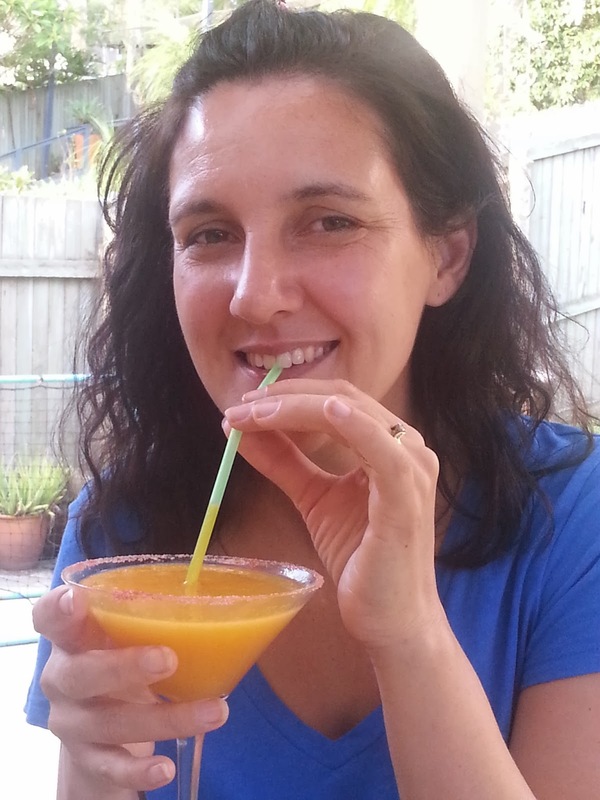 Enjoying a homegrown Mango Daquiri at Bob's sister's place. When I searched the net for ideas to entertain us and the kids during our five days in Kuala Lumpur I found quite a bit of information on the big ticket amusement and water parks, but I believe it's not necessary to spend a lot of money to entertain young children. 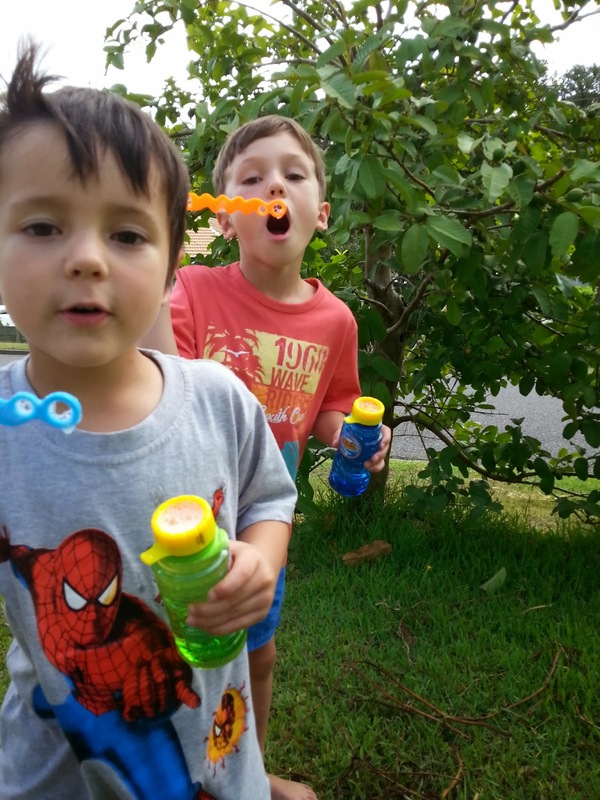 Their active imaginations and sense of wonder mean they can be amused by simple and low cost activities. We can save those big ticket excursions for when they're older and more demanding! 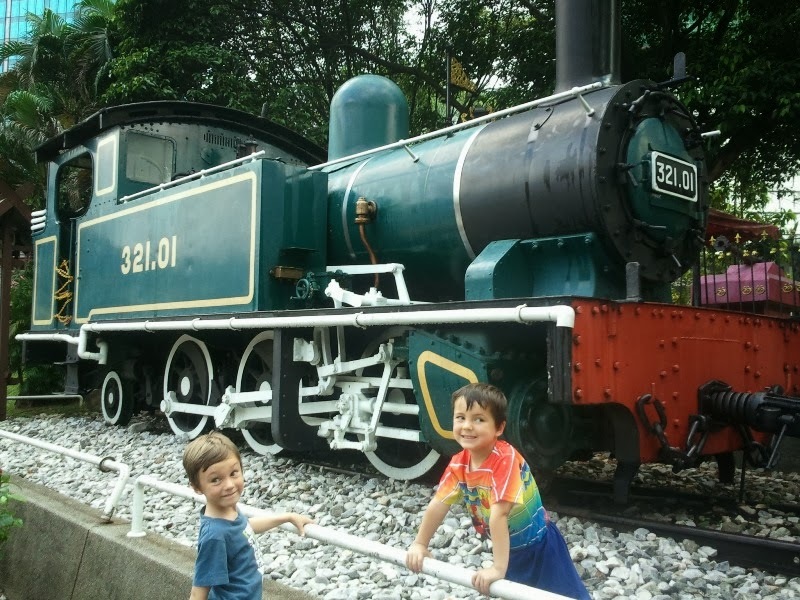 By exploring using the rail network and on foot we found some very low cost ways of entertaining and educating the whole family in this big city. We’ve had fun and it has been a very budget friendly week with money left over for a few shopping splurges. 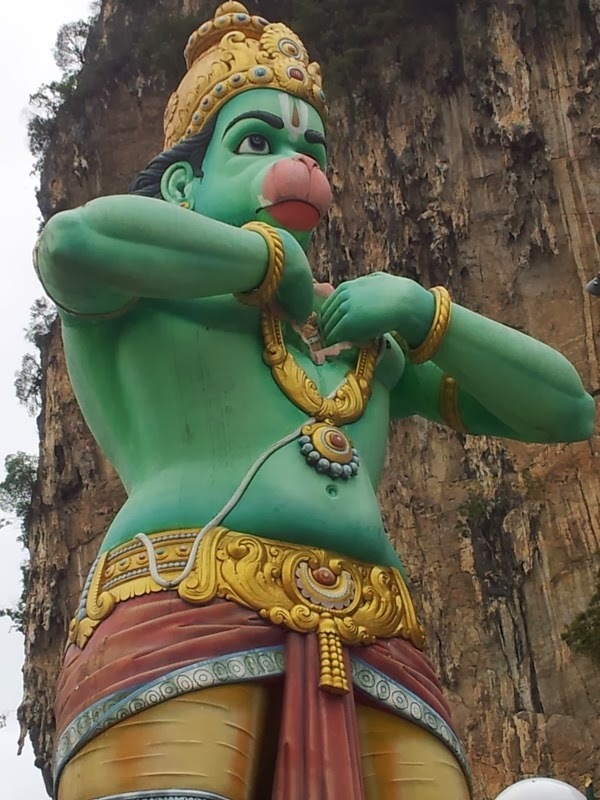 An integrated network of light rail, monorail and commuter trains covers all areas of interest and is surprisingly cheap - the 25 minute trip to Batu caves costs just AU$1 return! Children under 5 are free. Touch screen ticket computers in English make buying tickets easy. 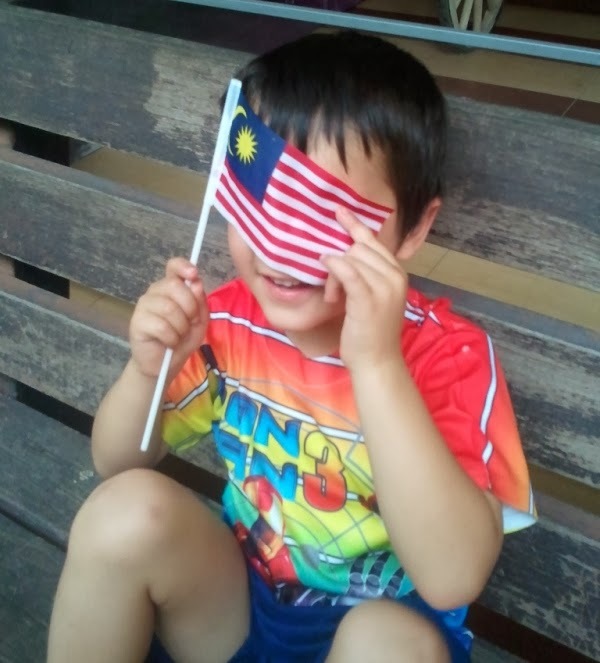 We were lucky to win tickets to travel on the Hop-on Hop-off bus for a day (RM45 per adult, children under 5 free). It was an excellent way to travel with young children as it eliminates the walking required from and to stations and keeping track of kids up and down long escalators amongst busy station crowds. Buses stop at all the main sightseeing points and we didn't have to wait more than 10 minutes to hop on the next double-decker bus which also have English commentary on all the areas you pass through. The hop-on hop-off bus had a 10 minute stop at the National Palace for a quick look and photos. 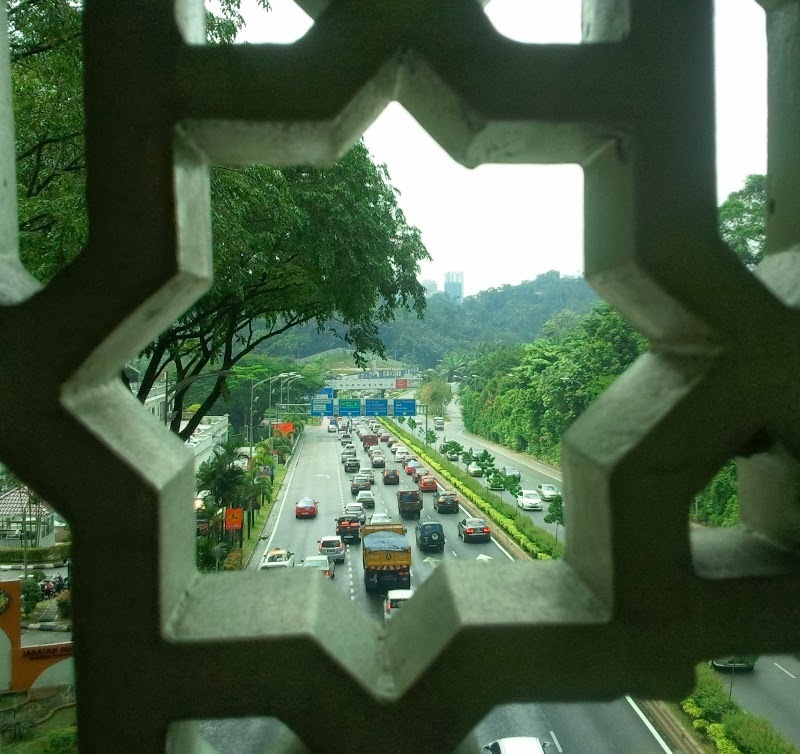 Come and see the famous landmark of Kuala Lumpur. From our hotel it was only 4 stations away and we enjoyed looking around the outside of the building and the boys enjoyed getting splashed by the various fountains (even early it was very hot). Tickets for the viewing deck were expensive and didn’t seem like good value for our family (and there was a long queue to buy them). 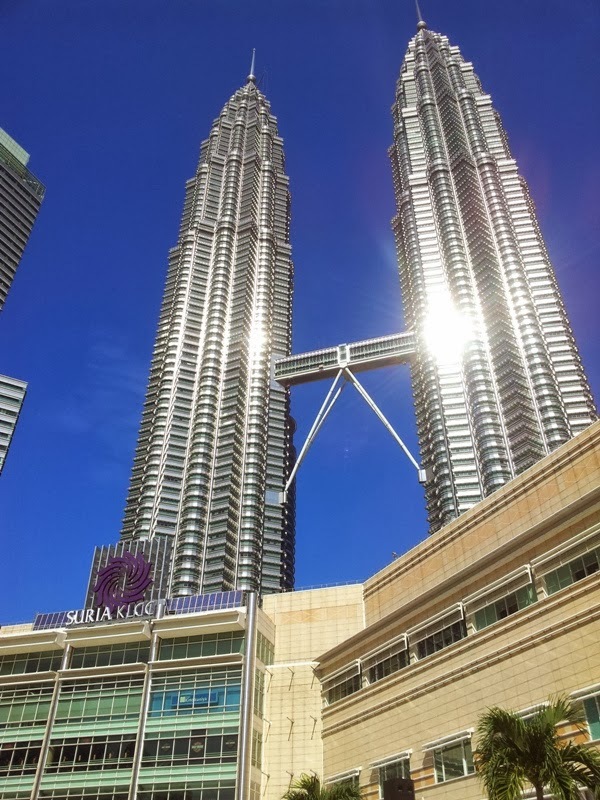 The huge shopping centre at Petronas Towers was an interesting place to look around – though filled will high end shops. Some had good sales. 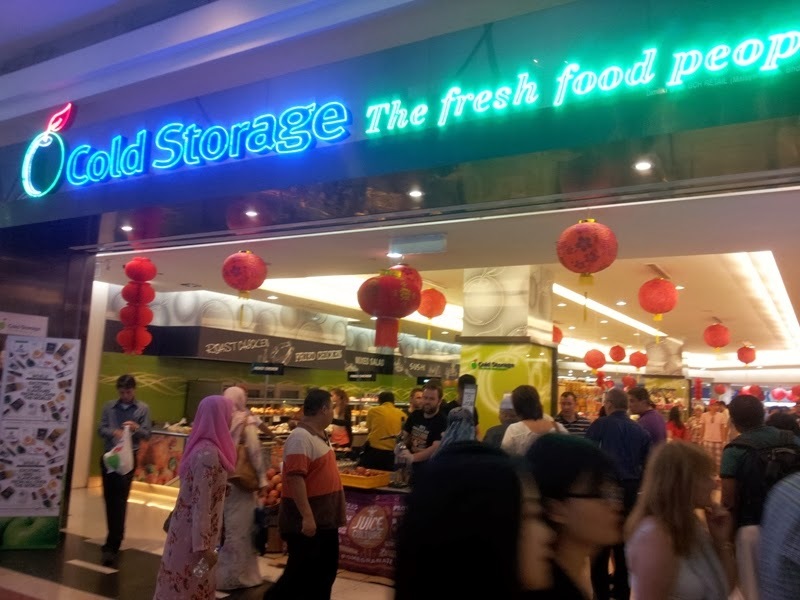 On the ground floor was a great supermarket/fresh food market which had low cost food perfect for a picnic lunch – sushi/sandwiches/deep fried fish and chicken skewers and fruit and drinks were all reasonably priced. 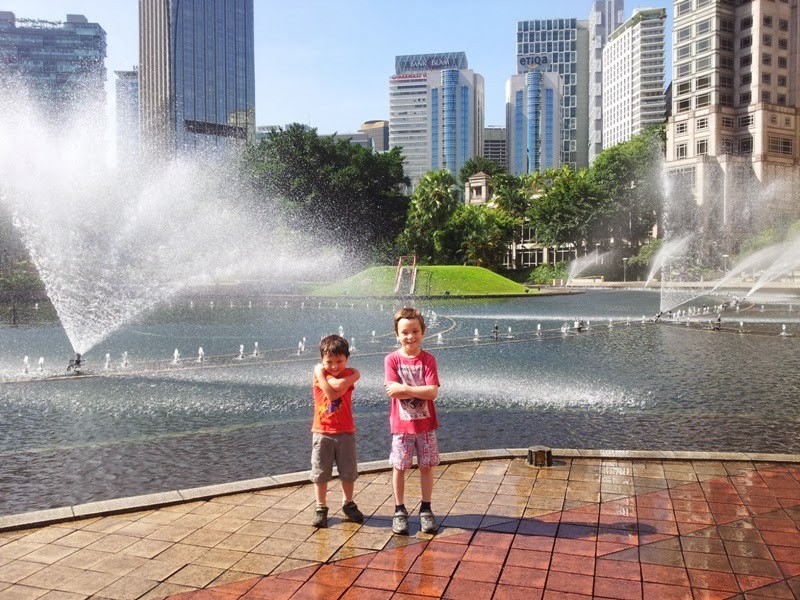 Adjoining Suria KLCC and Petronas Towers is a large park which is a beautiful place for some fresh air in the heart of the city. 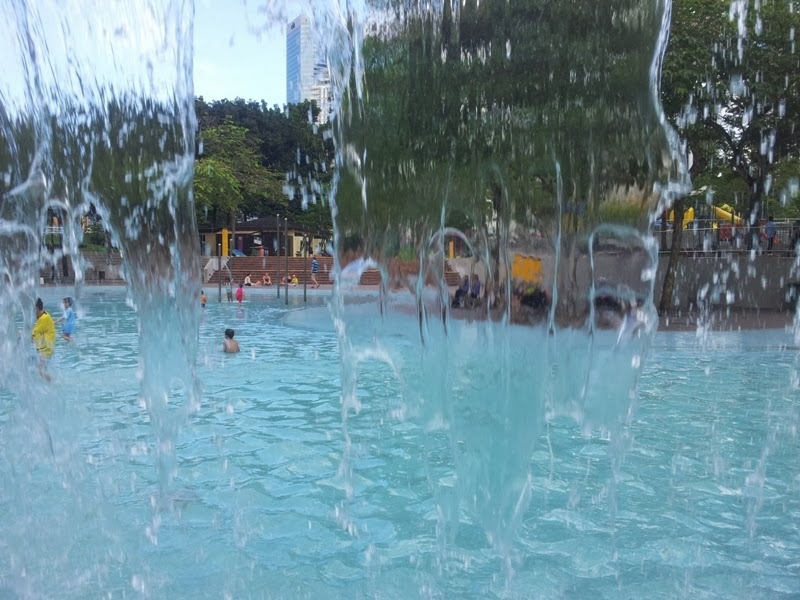 There is a huge and fun children’s playground which was largely deserted due to the heat, but best of all a free water-play pool. 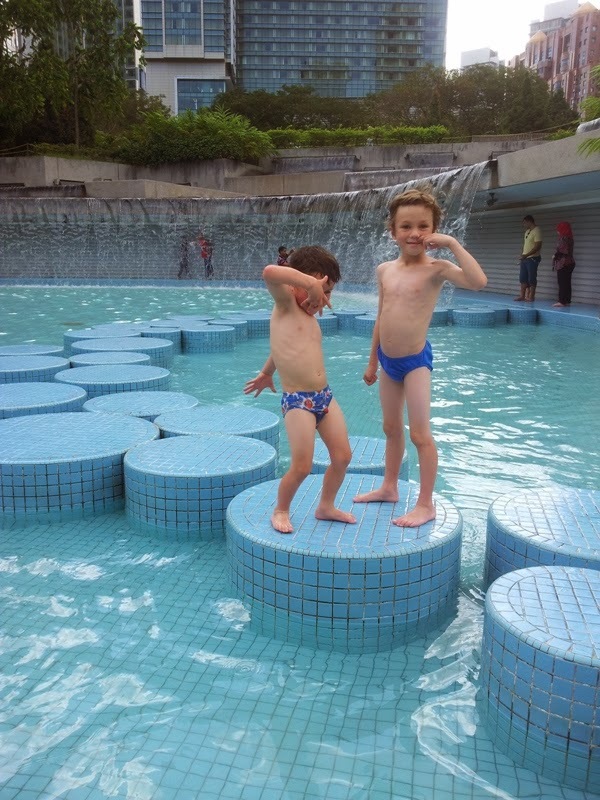 My boys aged 3 and 5 spent hours here cooling off and asked to come back again – it is shallow and perfect for this age group. It’s an excellent way to entertain kids while one parent (i.e. me!) goes for a bit of a browse at the shops! 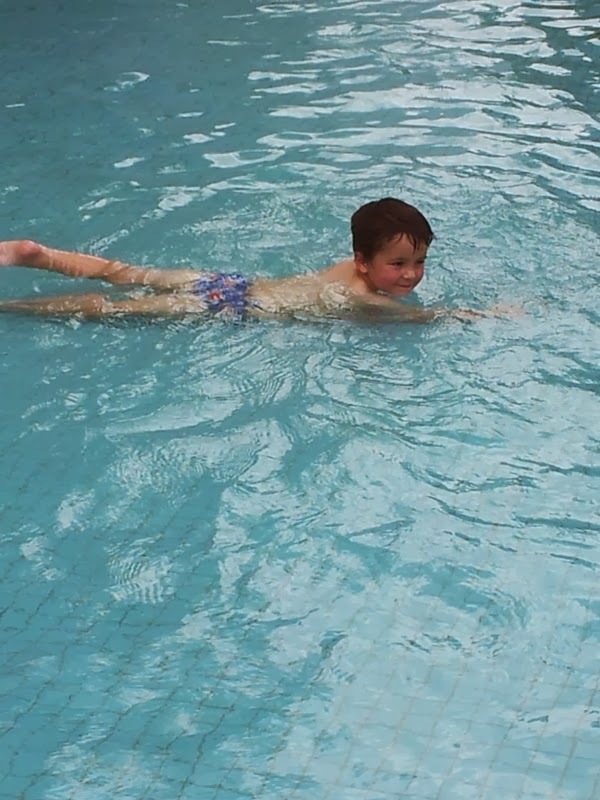 What a joy to strip off for a swim on a hot day! 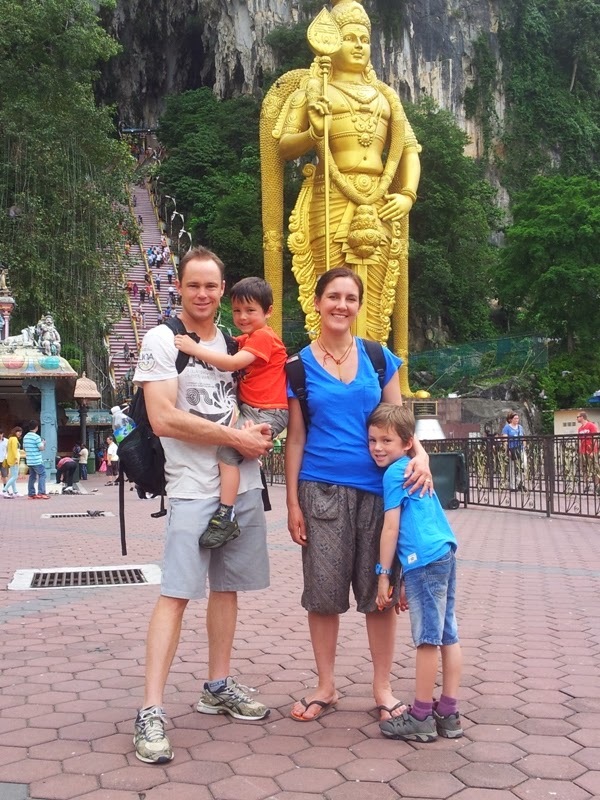 It’s an easy and cheap train ride out to the Batu Caves taking about 25 minutes each way. 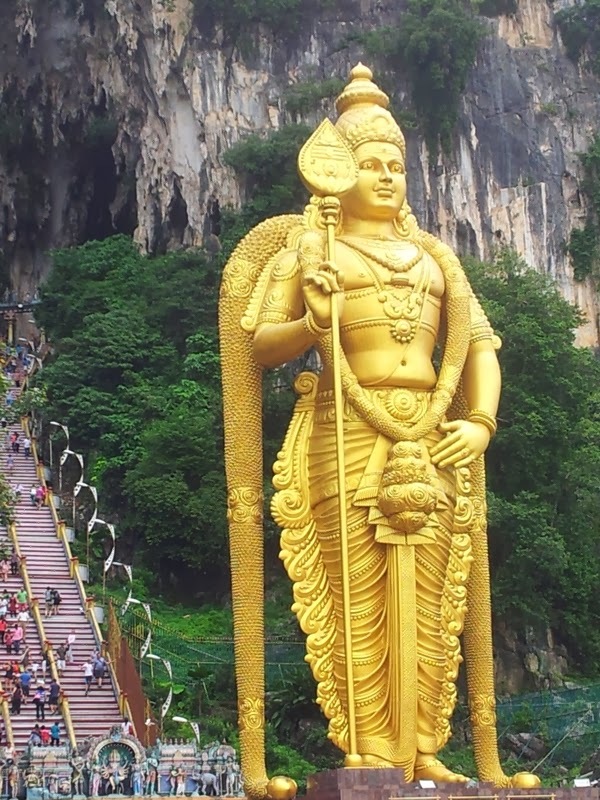 My boys enjoyed seeing the large statues of Hanuman and Lord Murugan and especially the playful and mischievous monkeys that make walking up the 272 steps to the caves less onerous for little legs. At the top you enter some very large caves with temples – and then we stopped for a snack and drink at the bottom. 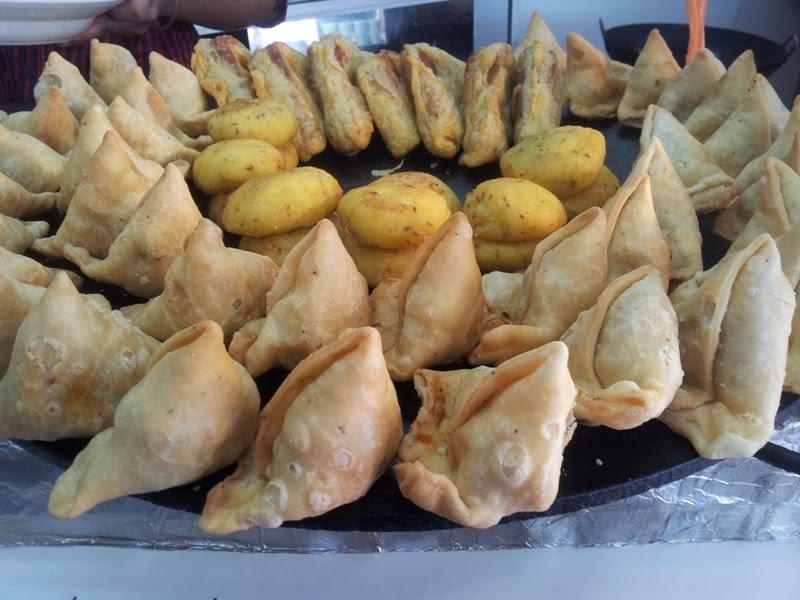 My mouth was watering with all the delicious South Indian food on offer. While Bob and I enjoyed a chai the boys had jalebis (a sweet treat I bought the boys for Halloween in Bhutan!). 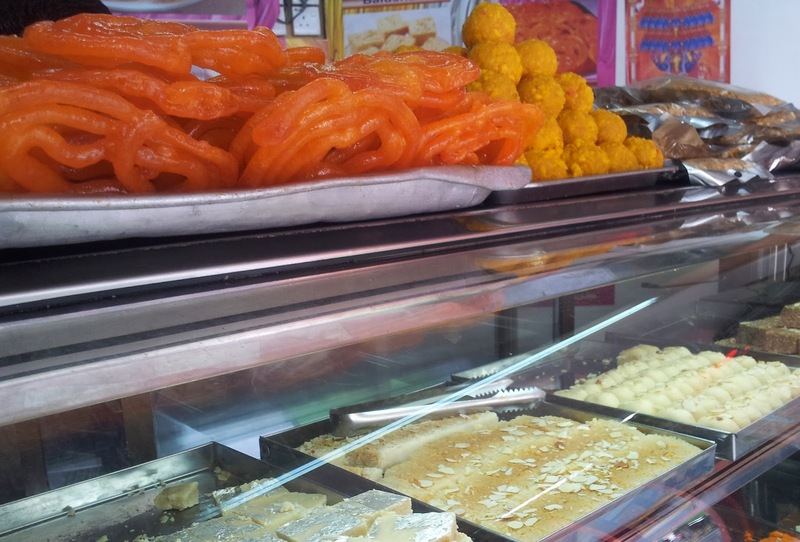 sweet treats: jalebis and burfi. 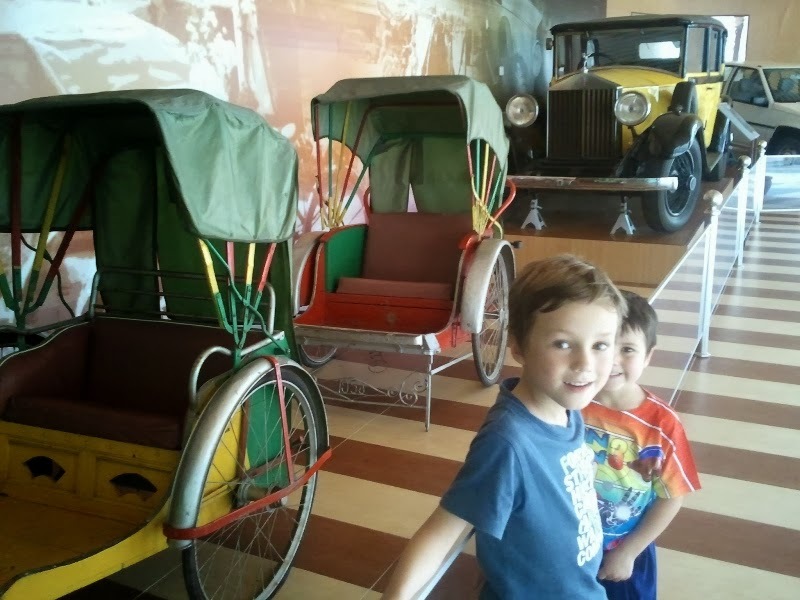 National Museum – Adults 5RM, children under 6 free! We walked from KL Sentral station to the museum which was a bit tricky but we had a map to point us in the right direction. The museum was of world standard and housed four interesting collections related to different periods in Malaysia’s history. The presentation, lighting and models were engaging for the boys and they particularly enjoyed seeing the skulls and movie of pre-historic life and also armour and swords from more recent history. Inside it was a cool and a pleasant respite from outside. 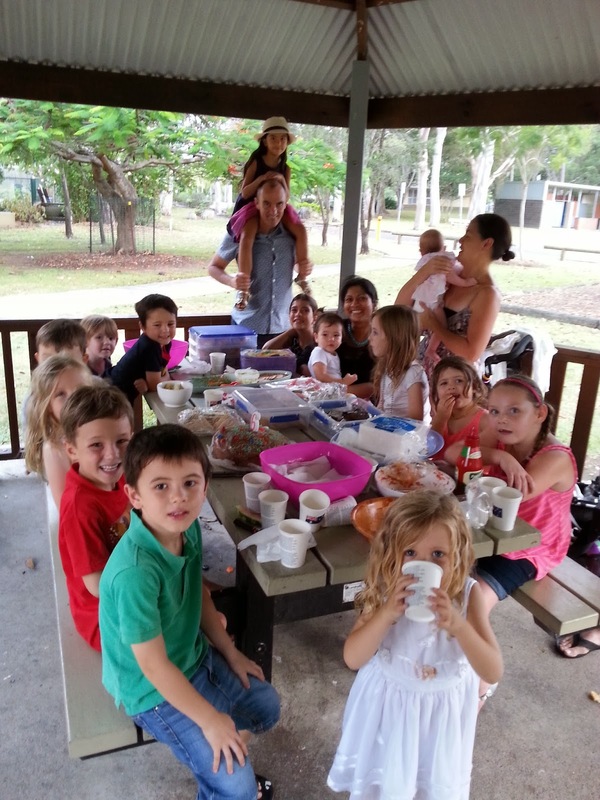 There is a clean and pleasant cafe with good food options for the family at very reasonable prices. Historical trains interested the boys outside the museum. 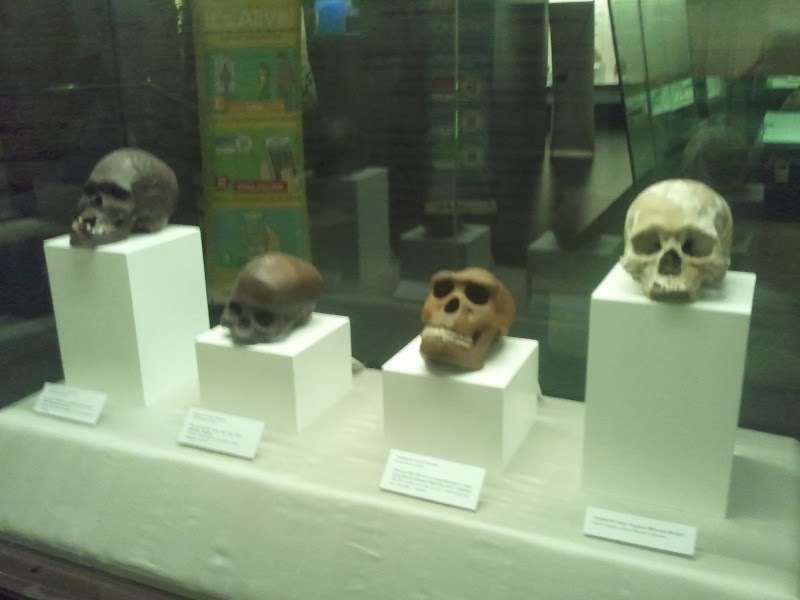 Lots of questions about these (replica) skulls! 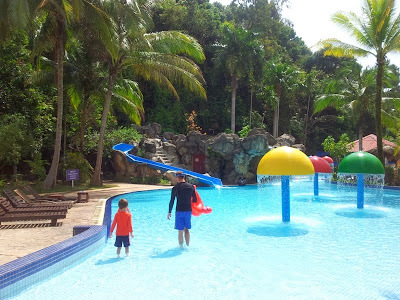 The Botanical Gardens are a huge area within central Kuala Lumpur that host a number of attractions for the family. With more time I’m sure these would be enjoyable to explore. We were more than amused spending a morning walking around here looking at the free attractions. 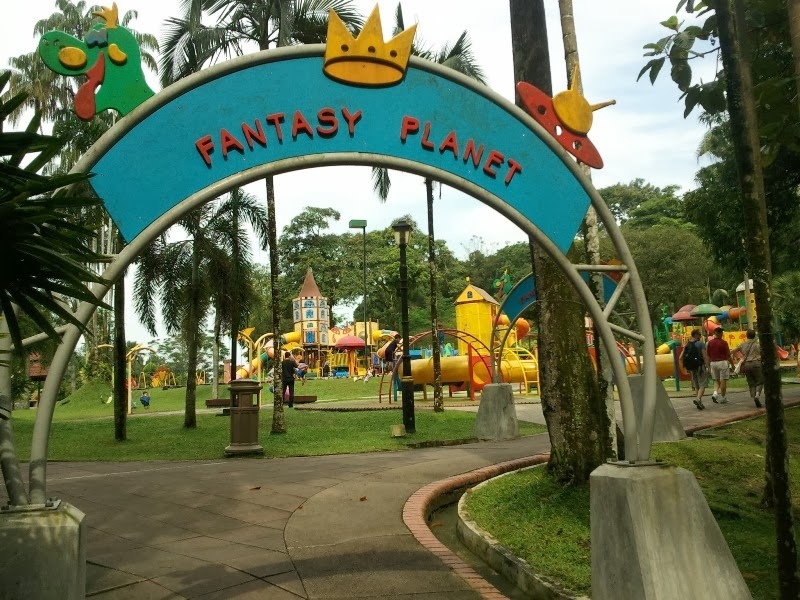 Apparently the best playground in Malaysia – the kids played here for a sweaty hour and would have stayed much longer if it wasn’t for the stifling heat. 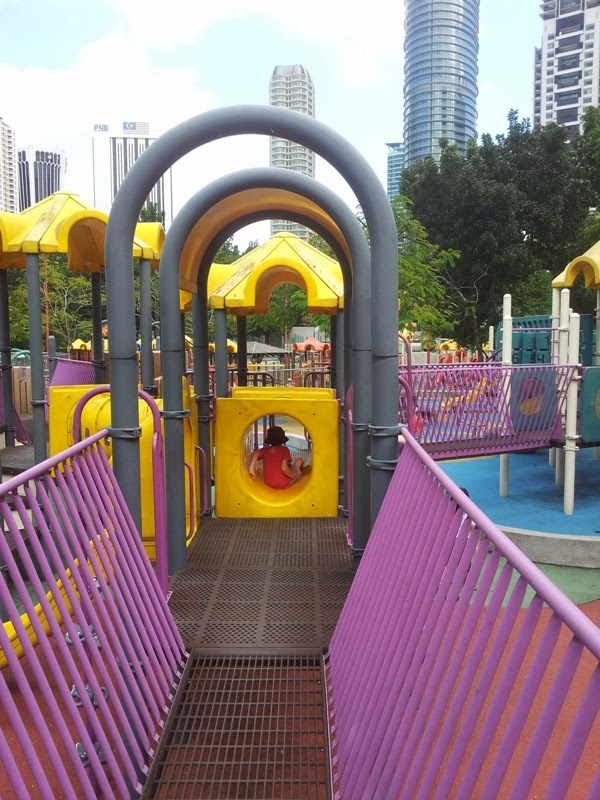 So much fun for younger children – lots of bridges and tunnels for imaginative play. 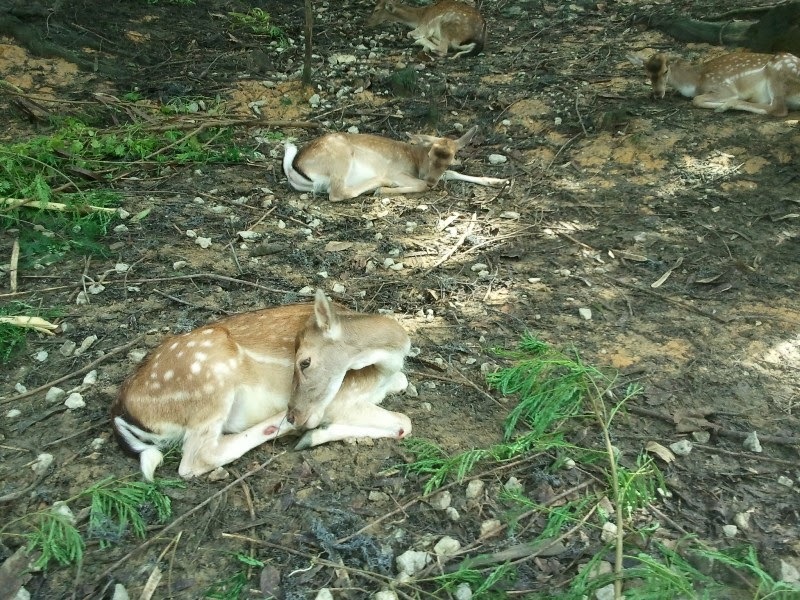 We wandered from playground to deer park (about 5-10mins) to see the deer and mouse deer. The kids liked it (pretty simple – just need a quick look). Golf buggies travel regularly around the gardens and pick up passengers and take you where you want to go - again for free! 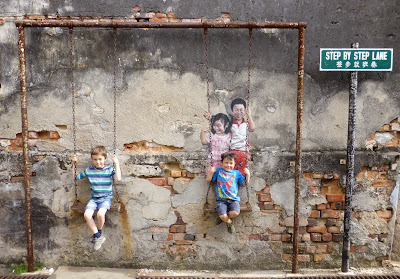 Kuala Lumpur City Gallery - Free! The gallery is quite small and has images of the changes in architecture and growth of Kuala Lumpur city. The best part is the short presentation upstairs of the huge city model that is lit up in the dark. A 3 minute video plays with information about Kuala Lumpur. The boys enjoyed seeing the model and finding famous landmarks. 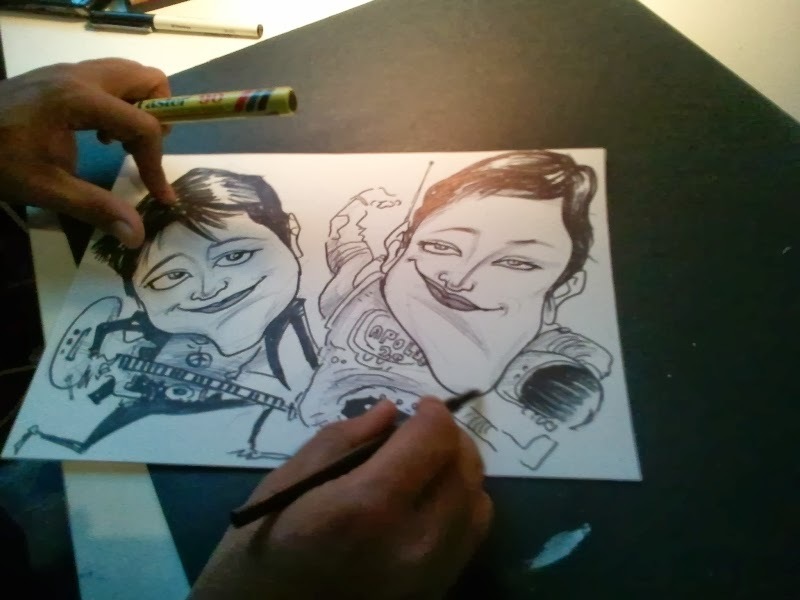 While I was shopping Bob got a caricature picture of the boys drawn by one of the resident artists. The boys were asked what they want to be when they grow up - Remy on the left is a rockstar and Xavier is an astronaut! Q to take a photo on the famous sign! 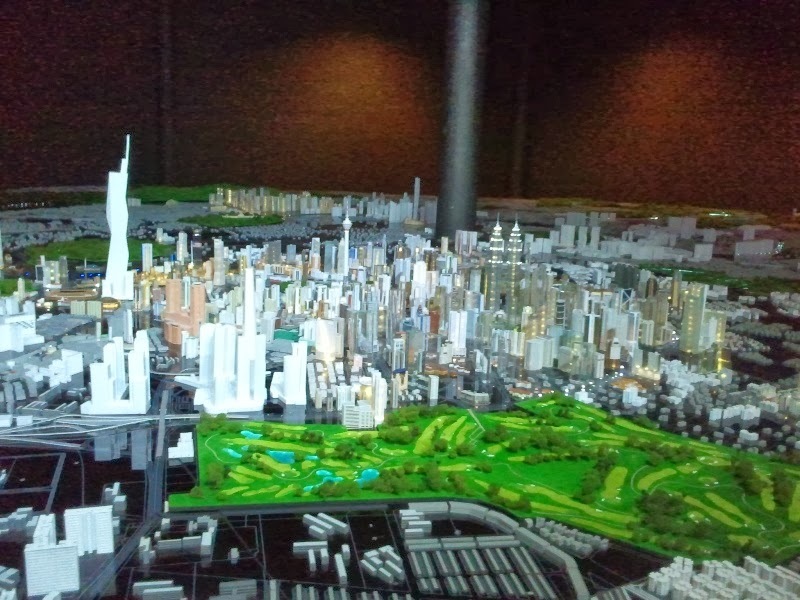 The largest model of Kuala Lumpur. Putting the final touches on the caricature. 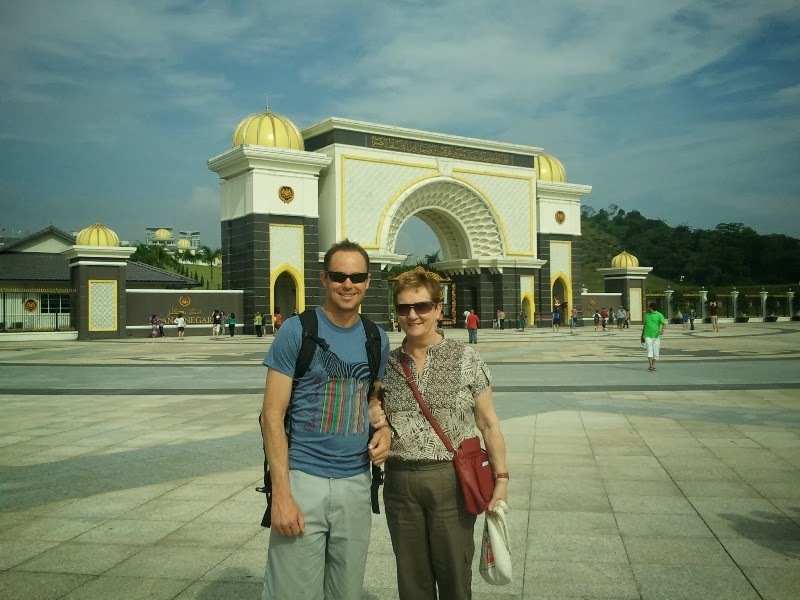 We also fitted in some shopping and general sightseeing in the time we were in KL and found ourselves on the go from early in the morning til late at night. 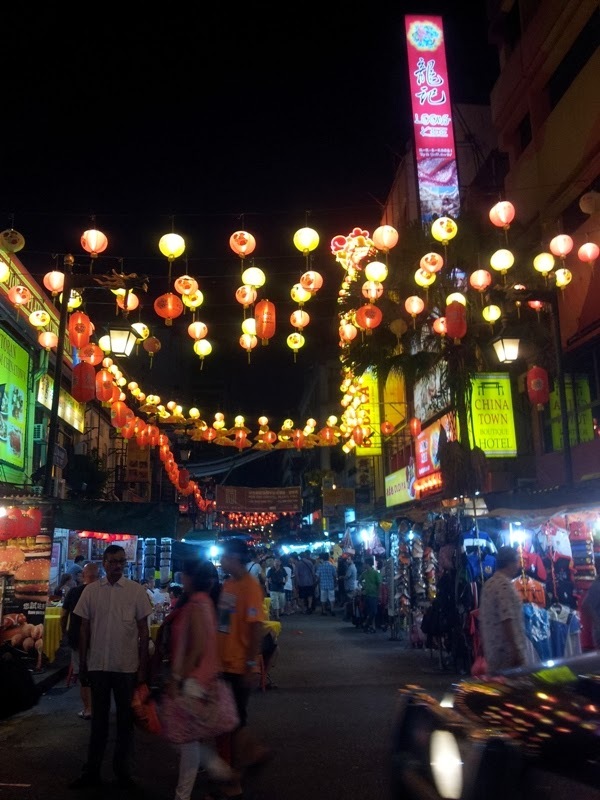 We stayed right on Jalan Petaling, the main street of the daily China Town Night Market. Street food options abounded in this area which is the prime place to buy cheap market bargains (including rip-off handbags, label t-shirts and DVDs). Bob and I took it in turns to go shopping at night while the boys were getting ready for bed. 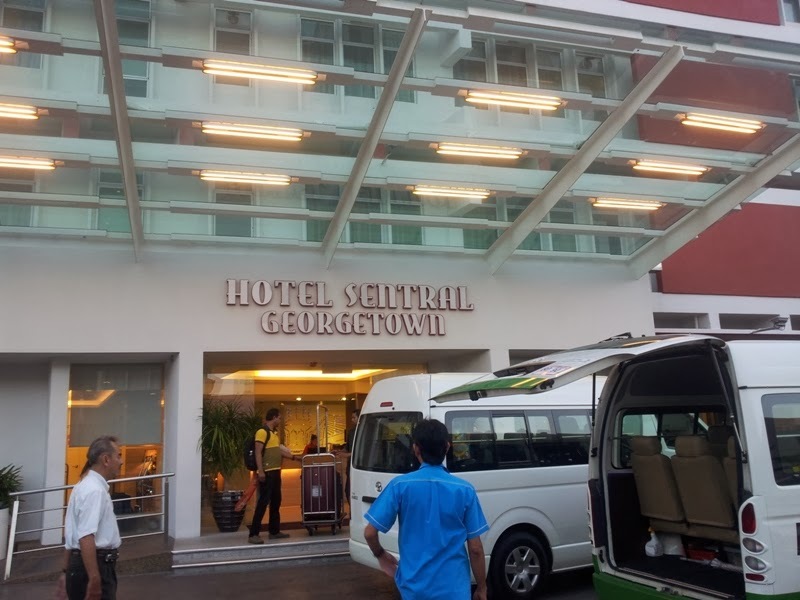 Our hotel Swiss Inn offered a 'family' room with three large single beds - ample for us as a travelling family. Breakfast was a varied selection of local and western breakfast favourites. 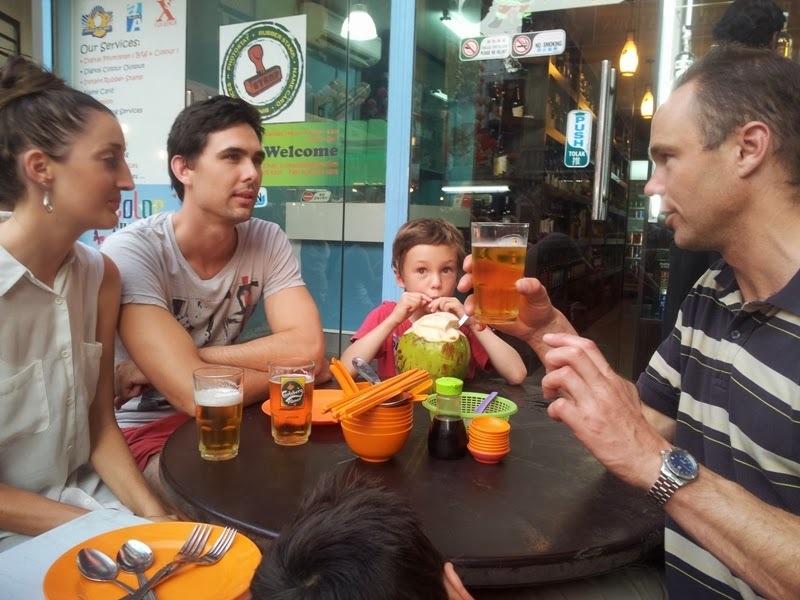 We were only a short walk from Pasar Seni station and Central Market - another great shopping and eating destination. 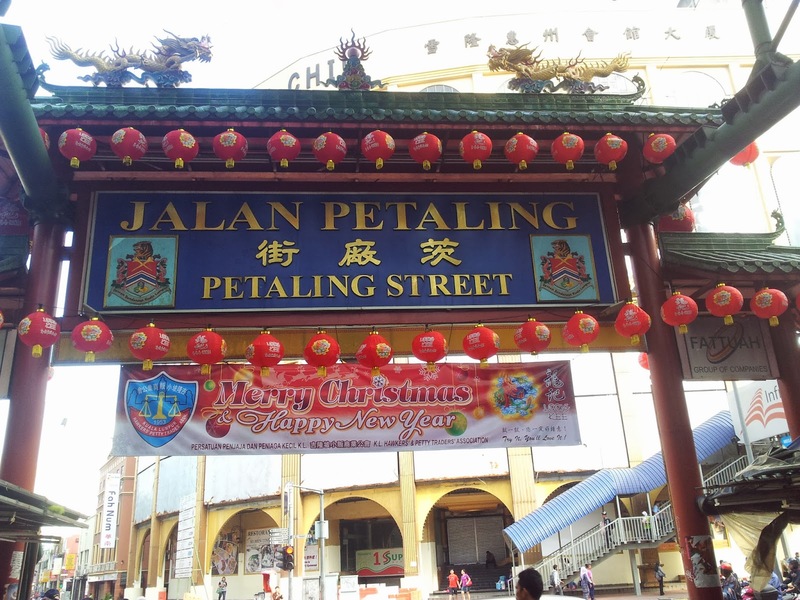 Jalan Petaling was coming alive day by day as all the Chinese New Year Decorations went up. China Town comes to life at night. 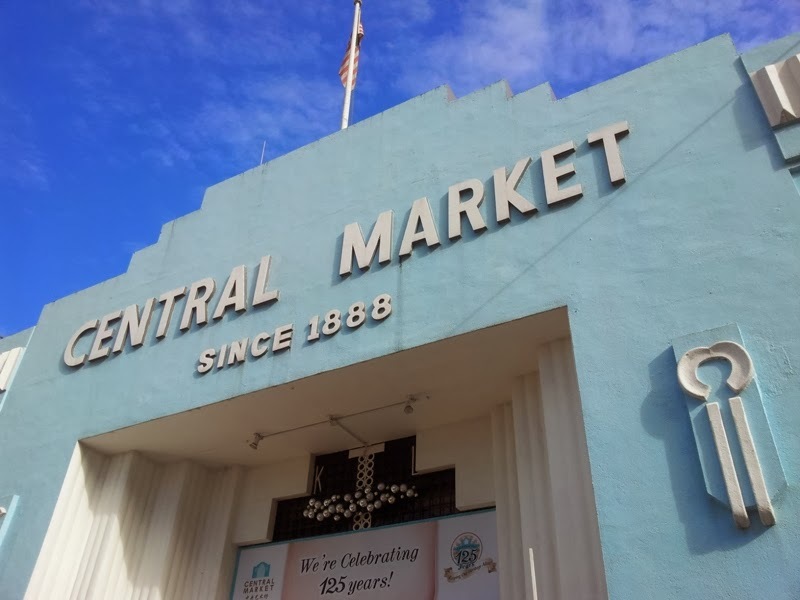 The Art Deco Central Market selling all sorts of handicrafts, textiles and souvenirs. 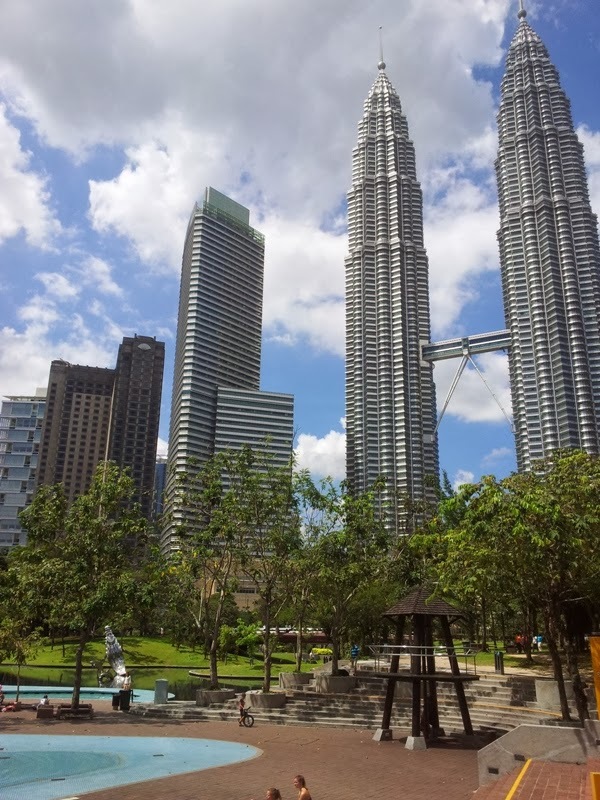 At first I wasn't sure about KL- it seemed like just another big city - but we kept busy with a huge variety of things to see in our time and really only scratched the surface. 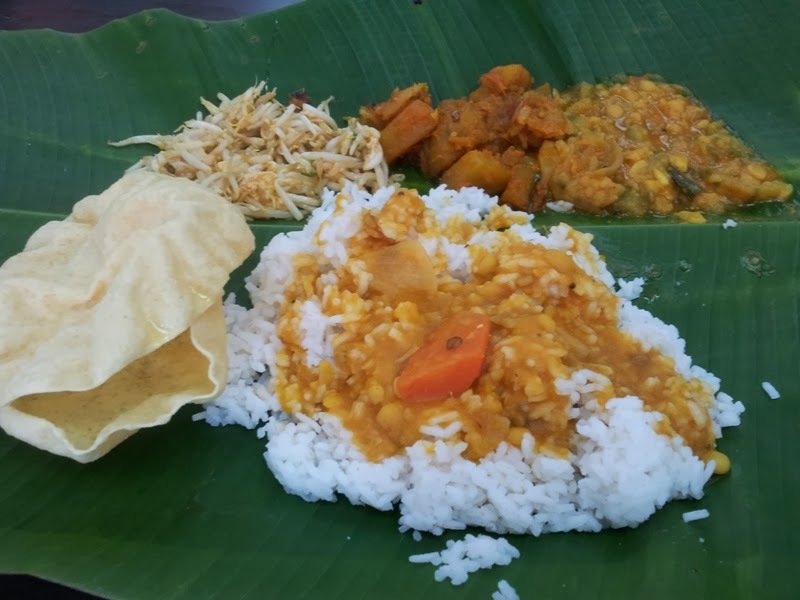 I was won over by the awesome food - all my favourite South Indian foods along with delicious Malay and Chinese - all incredibly cheap, fresh and delicious. I look forward to the chance to come back another time and recommend it as a great stop over point to holidays onward in Asia. Enjoying dinner in China Town with Bob's sister Amanda and boyfriend Rhys. 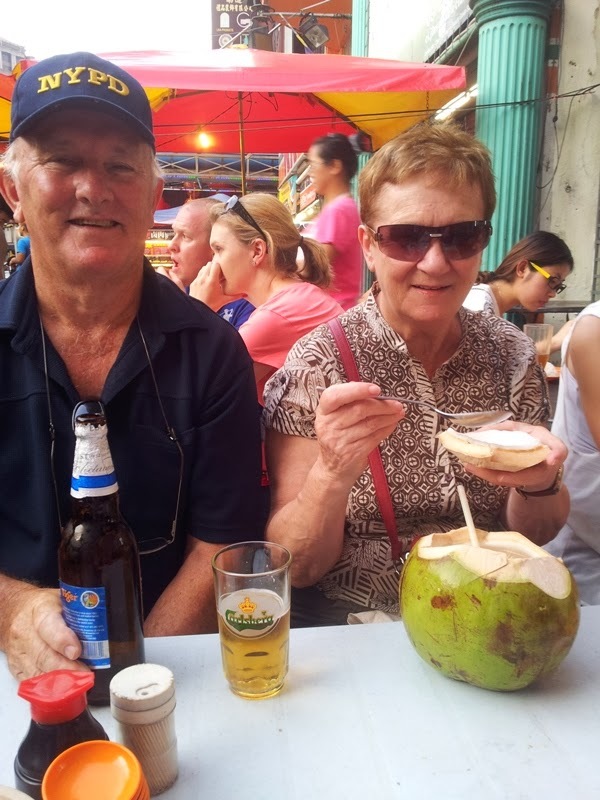 Poppy enjoys a beer and Nanna tries a fresh coconut! 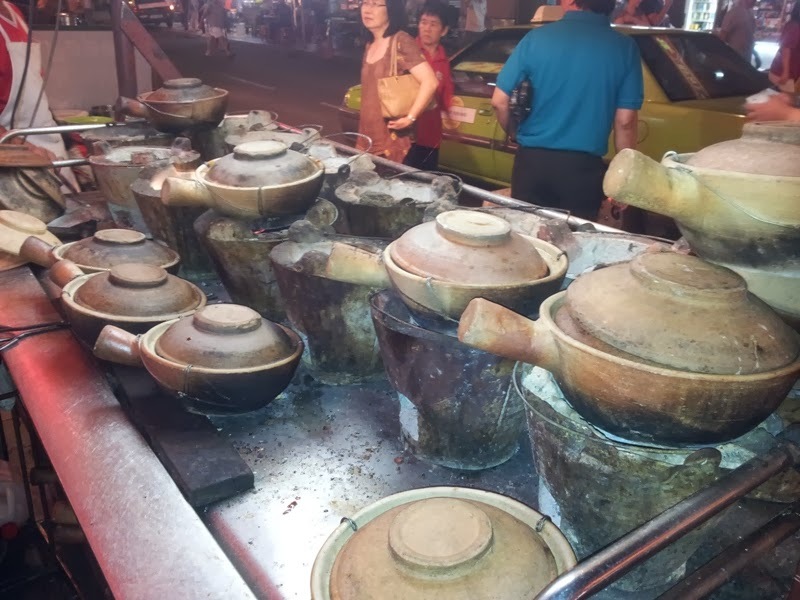 We tried claypot chicken and roasted fish. Banana leaf thali in Little India took me back to happy days in Kerela. 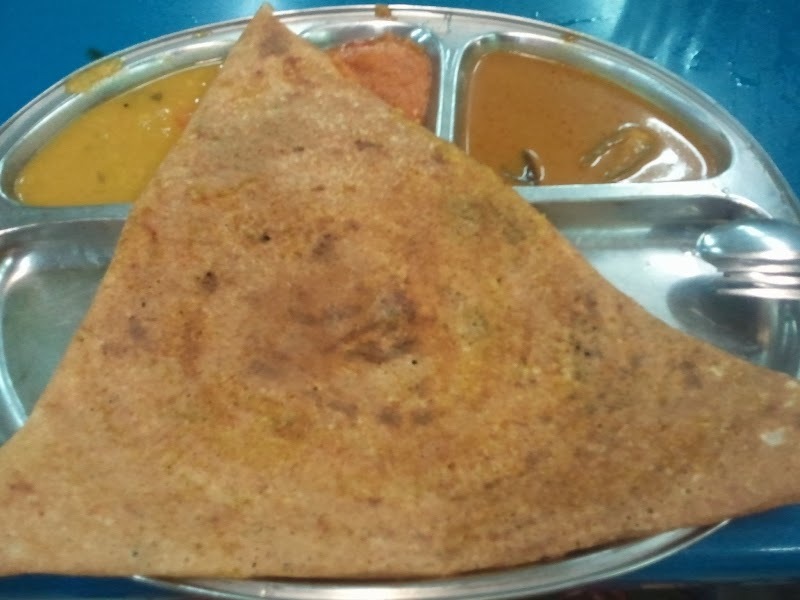 Masala Thosai (Dosa) - a South Indian favourite is available everywhere. 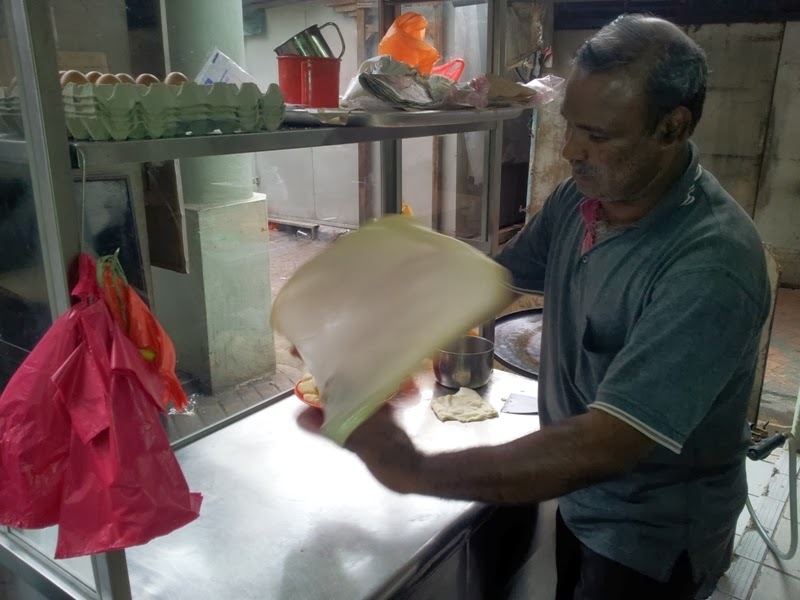 The makings of Roti Chanai - my favourite Malaysian specialty. 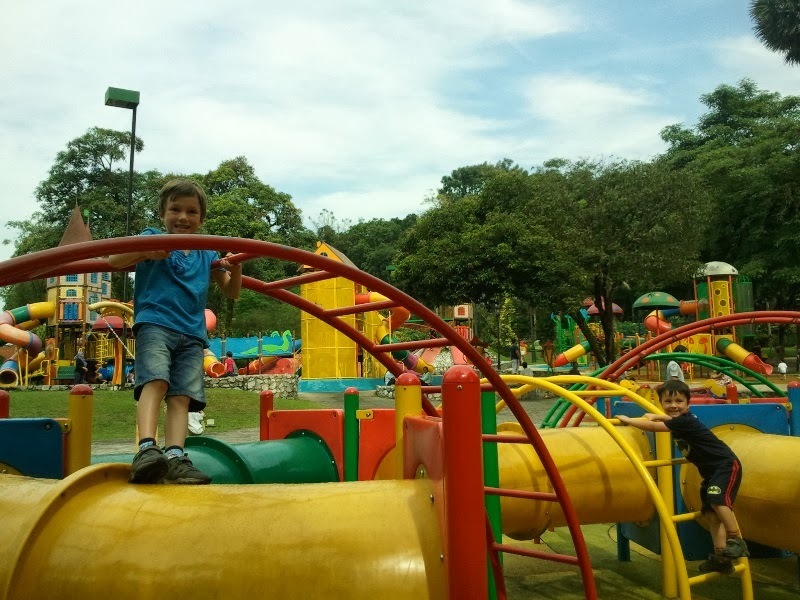 It's not all art gallerys and museums: today we travelled south to the border city Johor Bahru to indulge the boys at Asia's first Legoland. We'll spend the day there tomorrow and hopefully it will be everything that two little boys have been dreaming of for a year! I'll post an update soon! Looking through the photos for December, it's hard to believe that a month ago I was still finishing my teaching duties at Chumey MSS! We also travelled through Eastern Bhutan and then onto Thailand and Malaysia. What a month - doing what I love most, travelling! 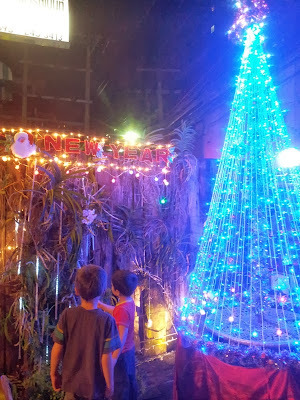 Some of these photos show how we were able to find snippets of Christmas wherever we were, although December had a very different feel to being in Australia- a little refreshing to be honest that it wasn't all about Christmas. 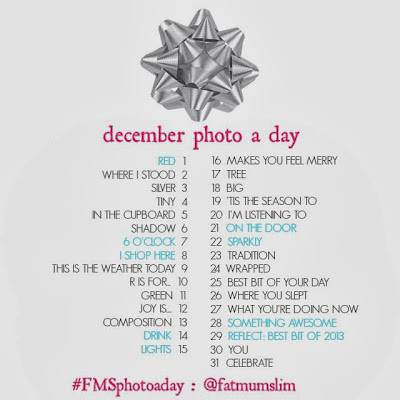 Although I'll continue taking daily photos (and posting in the FMS Facebook group) , I think this will be my last photo-a-day blog post as my blog scales back. Thank you for enjoying my photos this year, it has been a pleasure to show interesting facets of Bhutan through my photos and keep the most wonderful record of our year away. Best wishes for 2014! Our elf found us, even in Bhutan! 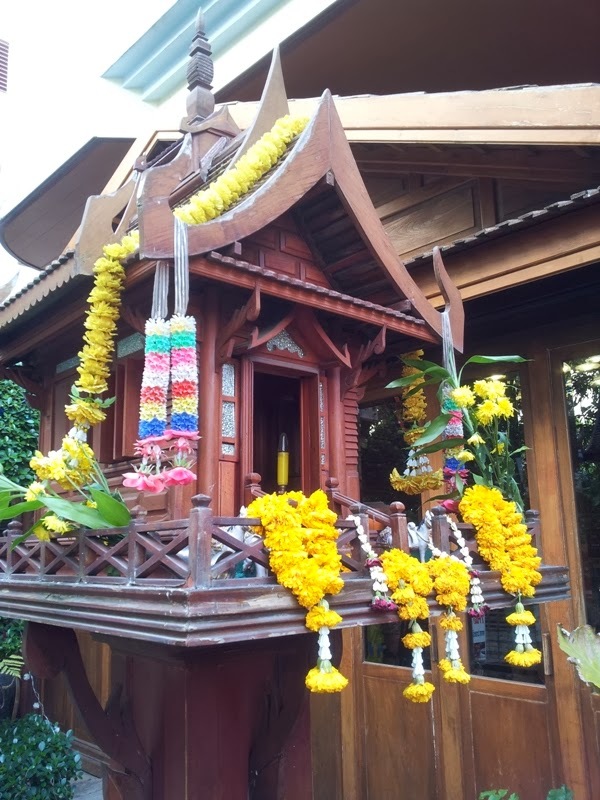 Out the front of Mrs Pema's shop in Chumey. A collection of coins from my purse. 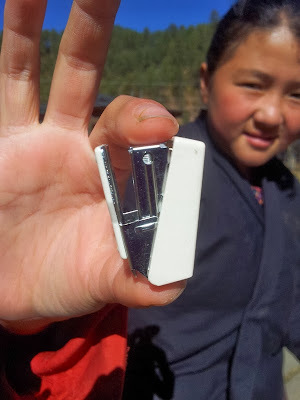 Pema Choki shows me her tiny stapler. 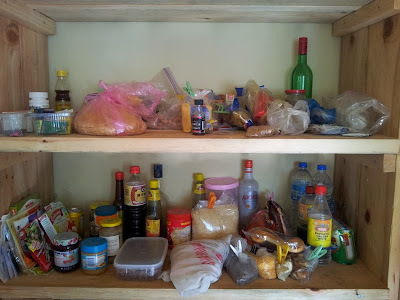 The last few things left in our pantry in Chumey. The lovely long tree shadows near Umsang village. 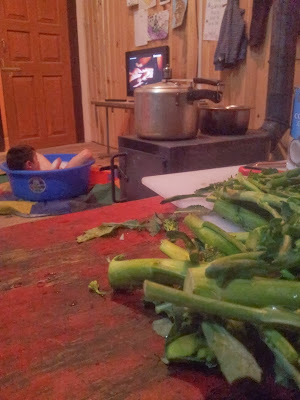 Last night of domestic life like no other in Chumey, Bhutan. The vegetable markets in Chamkar where we came every fortnight for fresh produce. What a joy to enter eastern Bhutan and feel warm - such a contrast to our home in Bumthang. River - the mighty river flowing through Autsho. 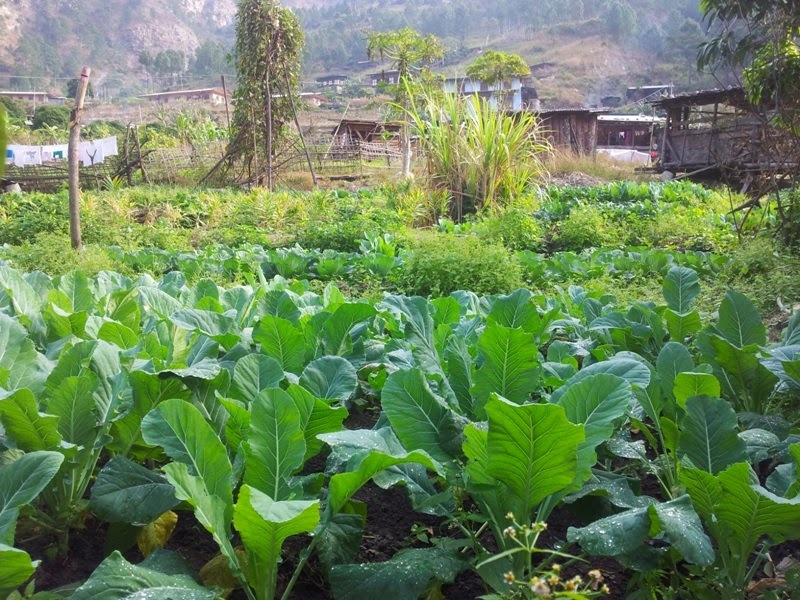 A gorgeous garden of green in Autsho. 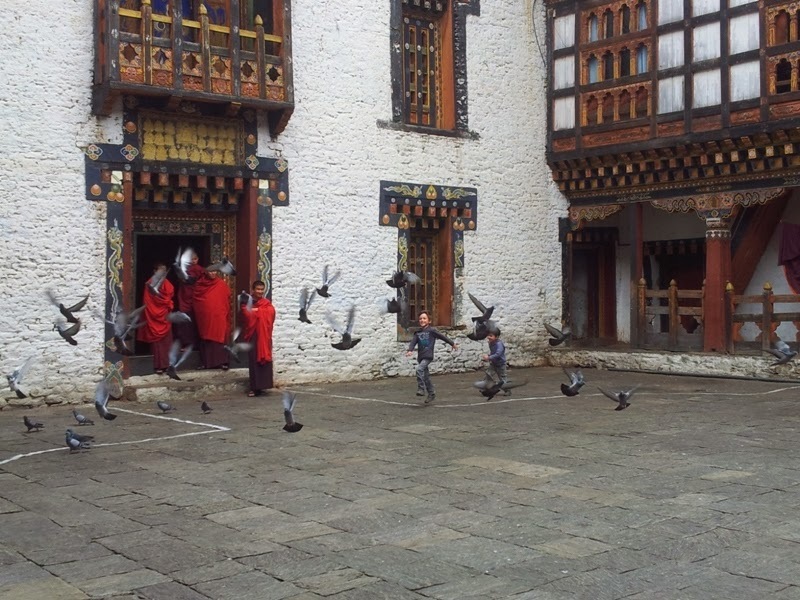 Monks watch on joyfully as my sons joyfully chase pidgeons at Trashigang Dzong. Chorten Kora at Trashiyangtse (using rule of thirds). A drink for the road? At a bus stop enroute to Thrumsingla. This one is out of sequence - of Paro Dzong lit up at night. A sight you would never see in Queensland in December - snow! It made us feel very merry and in the Christmas spirit to see snow in December. Lots of trees in the distance, but centre stage to the Bhutanese flag for National Day. 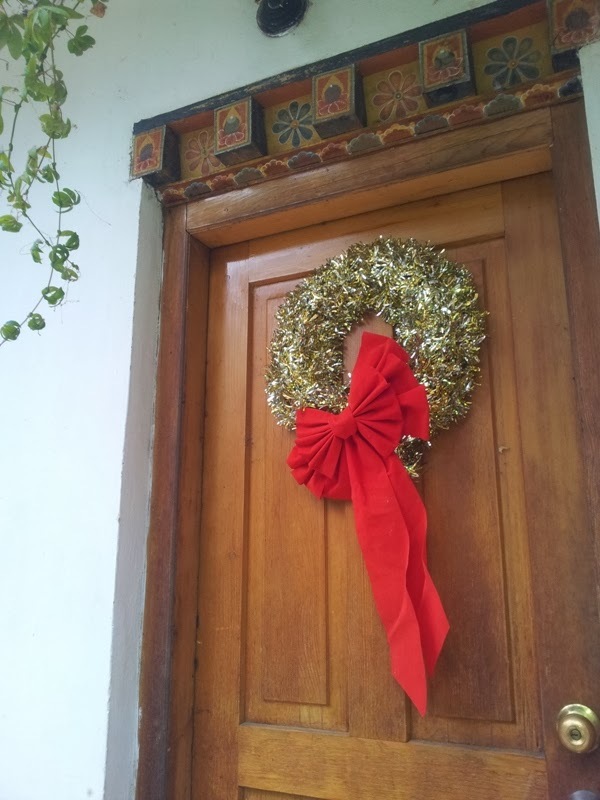 A gorgeous big bow on the wreath on a friends door in Thimphu. Of goodbye dinners - many farewells night after night. 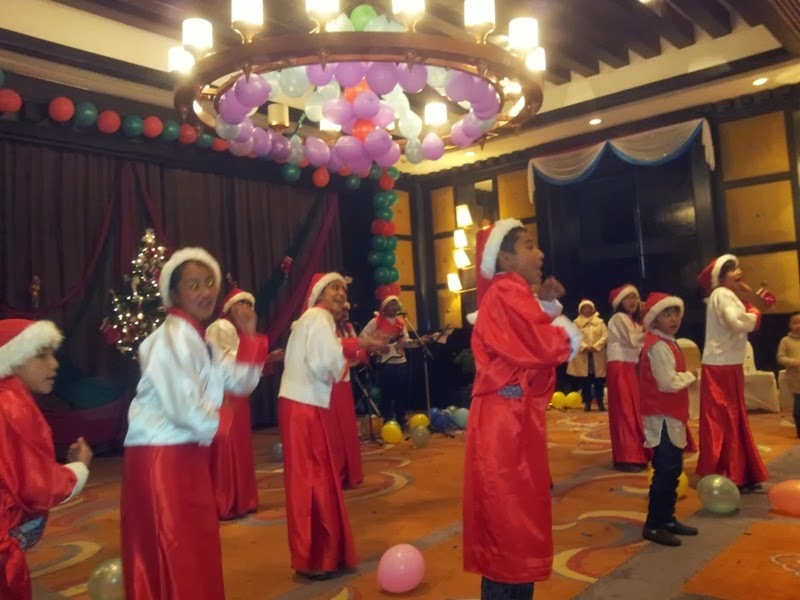 Young Bhutanese children sing carols at the Taj Tashi - slightly surreal! 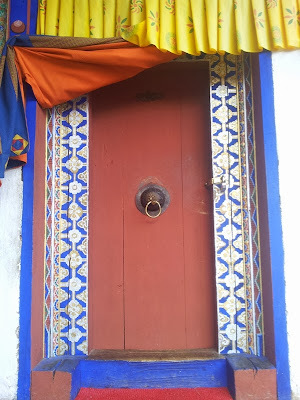 Beautiful decorations at Kichu Monastery, Paro. A beautiful Christmas scene at our hotel in Bangkok. A Thai tradition I love - Spirit Houses. 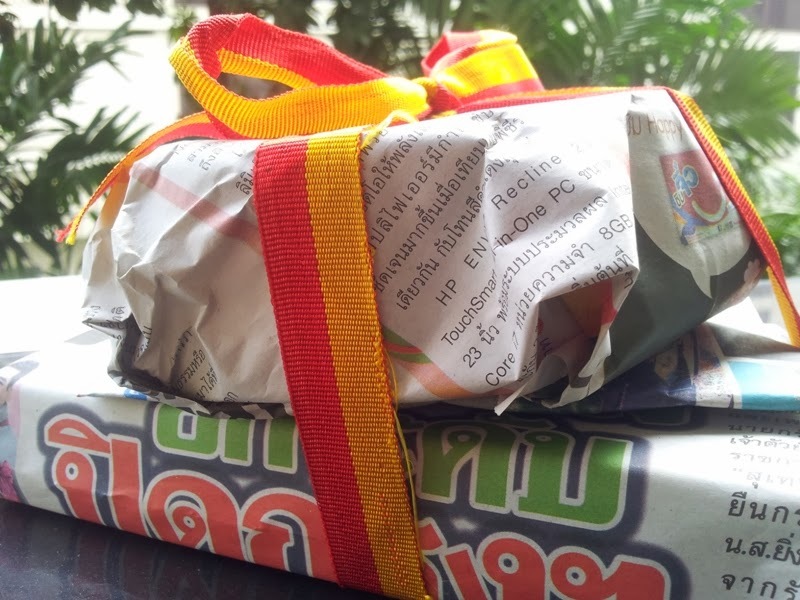 Bob's Christmas gifts wrapped in Thai Newspaper and Bhutanese ribbon to be opened in Malaysia! The best part of our non-traditional day was discovering the street art of Penang, Malaysia. At Hotel Sentral, Georgetown, Malaysia. About to get wet! 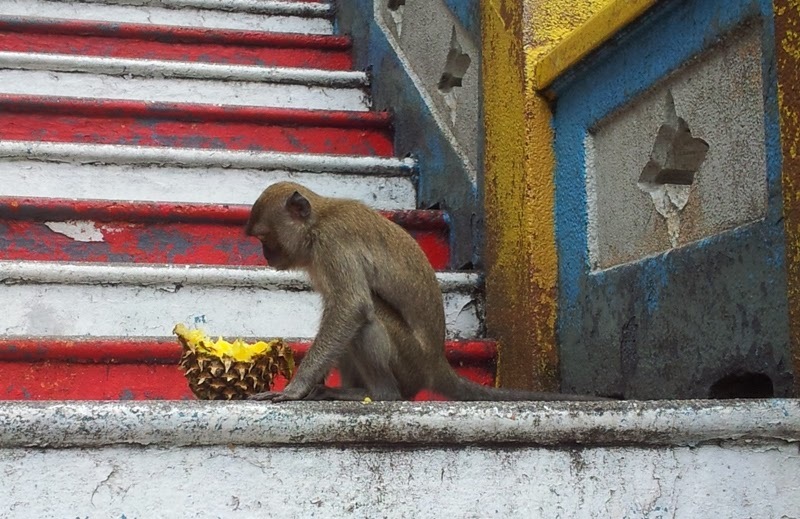 At Langkawi, Malaysia. Without a doubt, the best part of 2013 was being Class 2 teacher in Chumey, Bhutan. Feeling relaxed with a sunset cocktail on Langkawi. 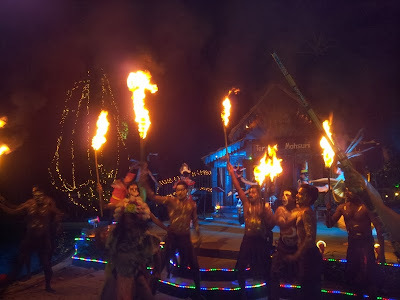 Fire ceromonies in Langkawi to bring in the New Year. Let's see what 2014 has in store: more photos and as of yesterday, a new camera as my trusty phone was dropped and smashed. I think I'm ready for an upgrade!